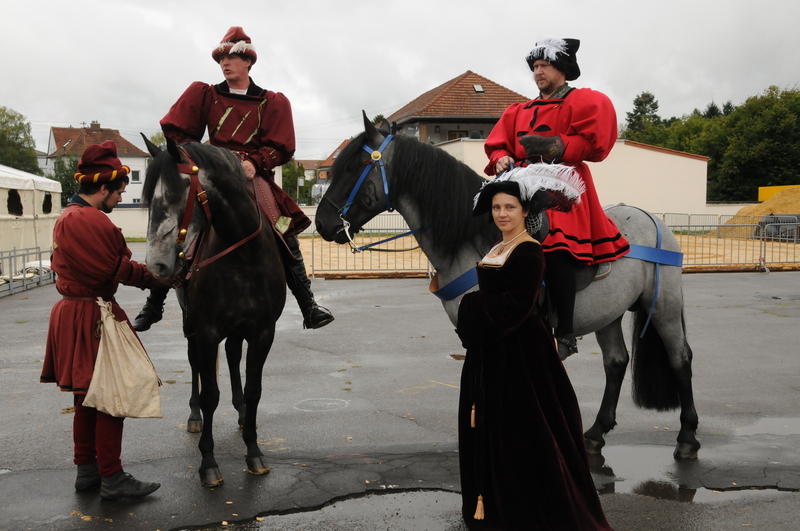 A few years ago I was contracted to ‘do’ Katherine of Aragon for one of the events organized by Black Knight Historical. 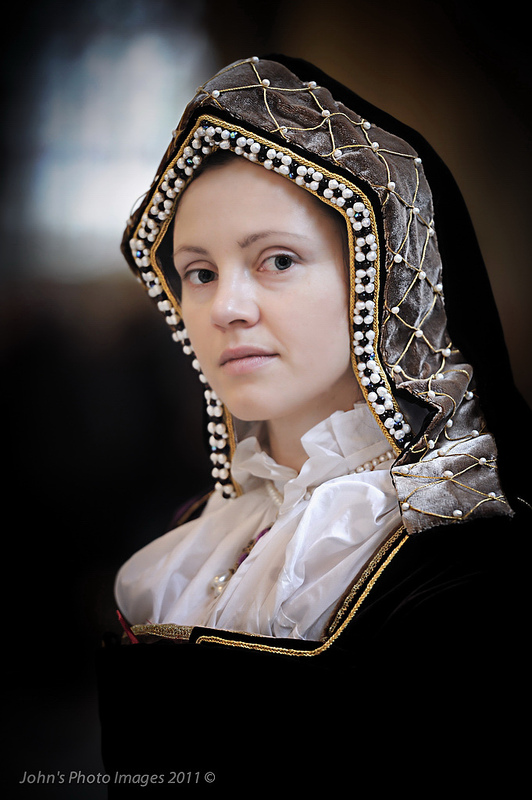 I have done Tudor work with them before,at another event, organized by Griffin Historical, at The British Museum in London. No specific character was required at that time, but within minutes I was branded Anne. Not my favourite character ( I can hear the outraged cry of many Ann’s fans! ), but it was fun 🙂 I have been Anne a couple of time later and always enjoyed it. 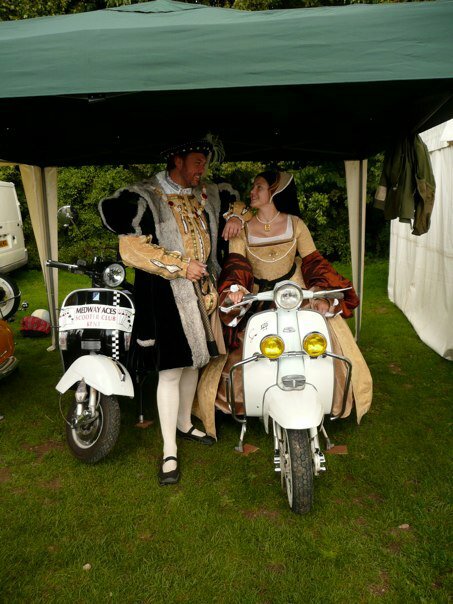 BKH event in Kent – after hours fun. 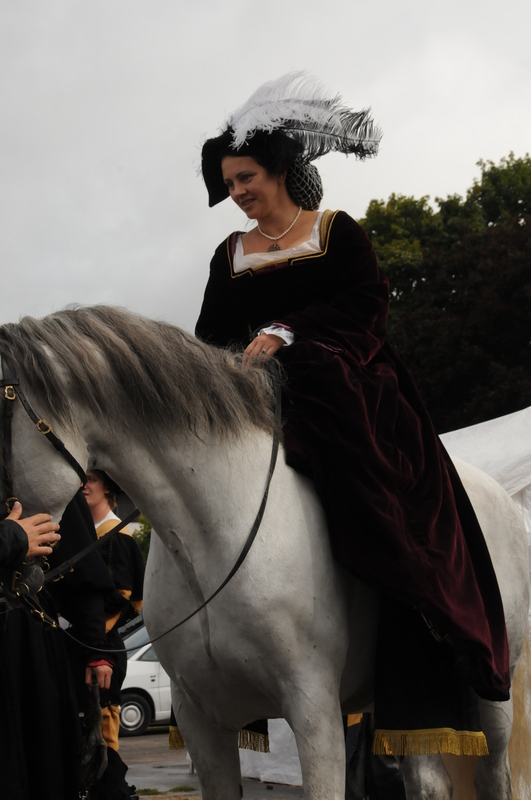 Anne has a new steed! But it was Katherine that always had a special place in my heart- for her serenity, patience, unwavering convictions and sheer obstinancy. 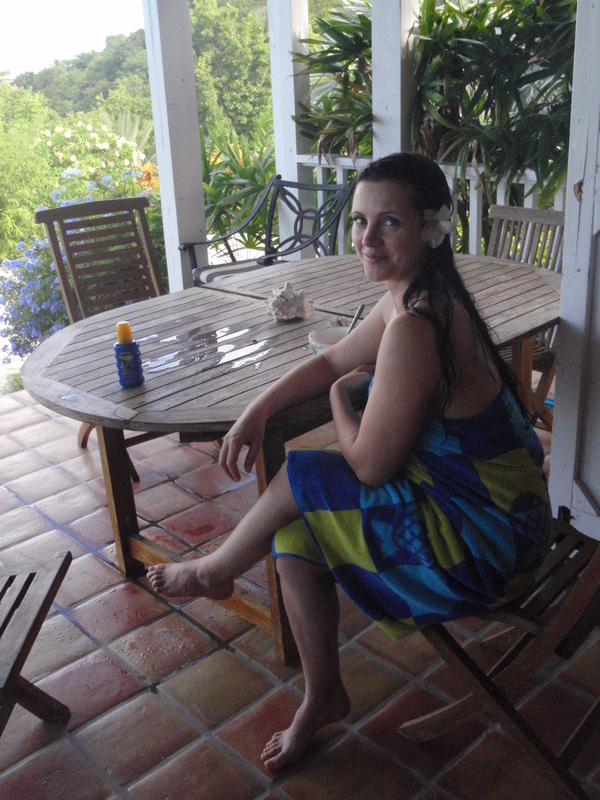 Also, she was a foreigner here and has come to love the country as her own – and we share that trait too. The commission required more studying, learning about Katherine’s background and ( but of course! ) a new outfit. 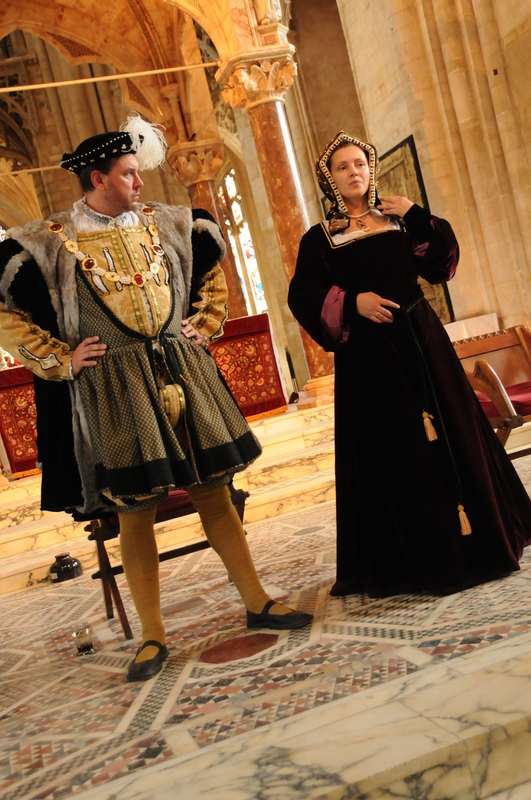 Since the timing for the event weas loosely agreed on the early years of Katherine;s marriage to Henry, 1510-15 or do, the new gown was based on the tournament roll picture, where Katherine, freshly delivered of a son, watches her handsome prince joust. The Westminster Tournament Roll, the College of Arms. 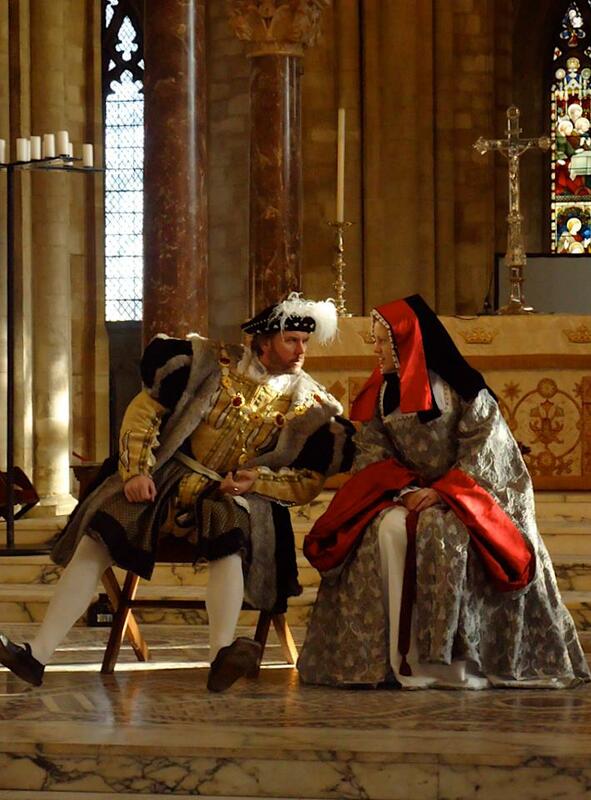 The project was interesing, epecially recreating the early bonnet, but it was done ( the article how to recreate the look can be found here🙂 – and Katherine appeared in the Peterborough Cathedral for the Royal audiences, side by side with her husband the king, for the first time. It wasn’t the last time either – the event and the show was so popular, it has been booked, again, and again. 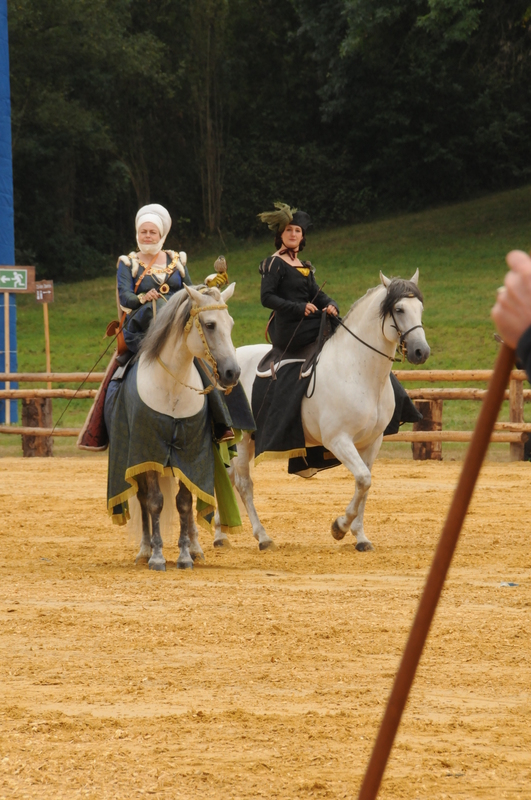 It is a regular feature at the end of January, as a part of Katherine of Aragon festival held there. 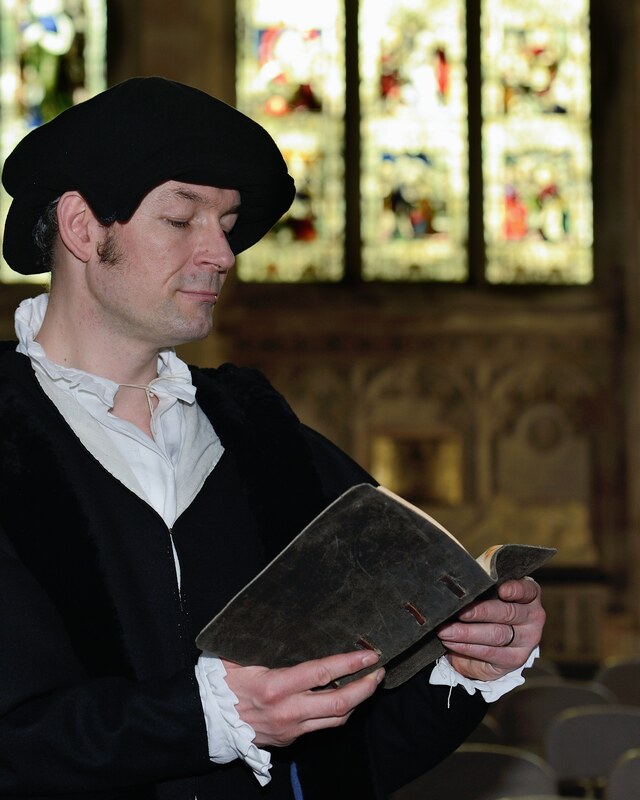 the festival commemorates her death ( Katherine is burried in the cathedral) and celebrates her life: there are lectures, tudor interpretors, dancing, music – in short, both education and entertainment combined. 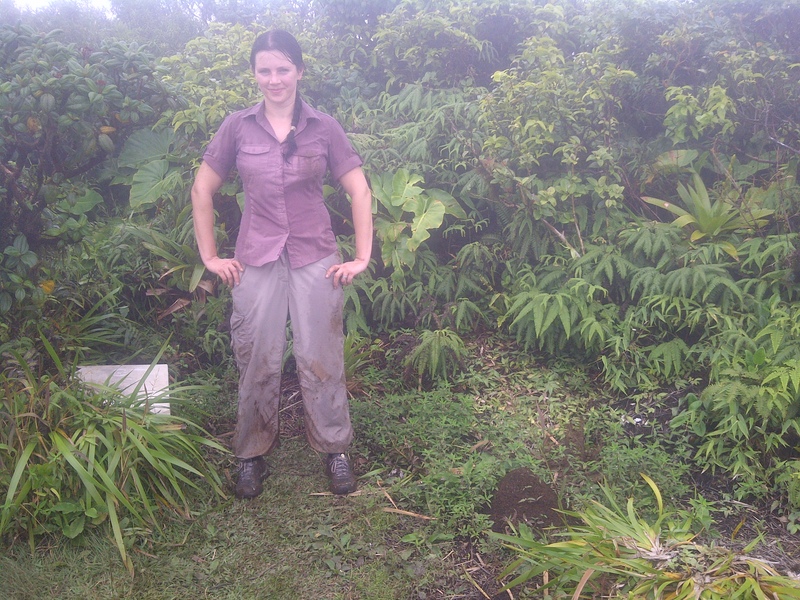 at Katherine’s grave, holding her symbol – a pomegranate. 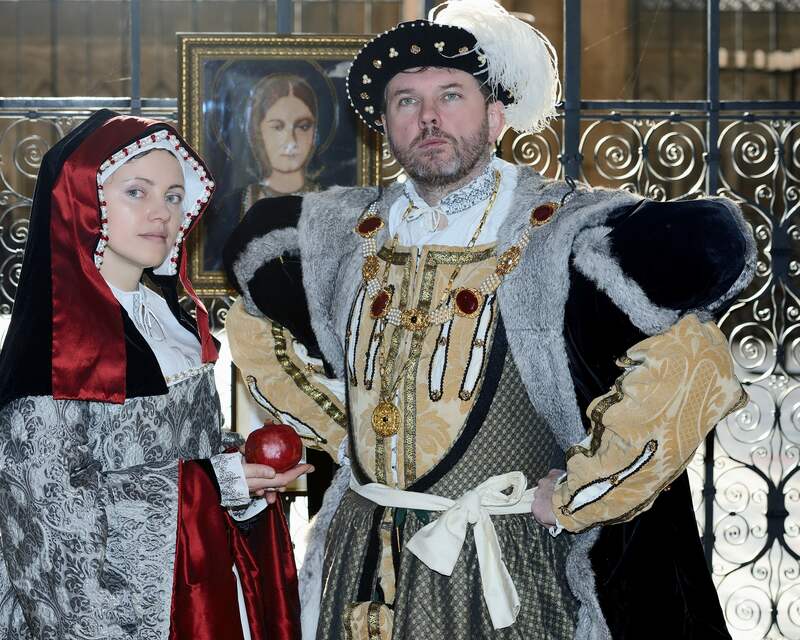 The knowledge and the kit came useful as well – Katherine appeared at the Blicking Hall, together with the other queens, and the new dress, with a new hood, served for Mary Tudor, the sister of the king, for another event – a Christmas at Blickling Hall. 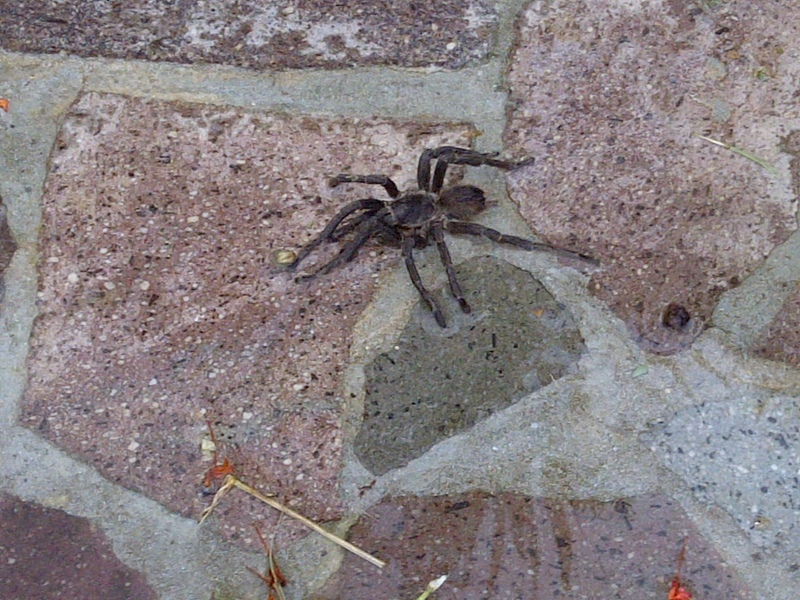 Well, it was a rather exciting day! 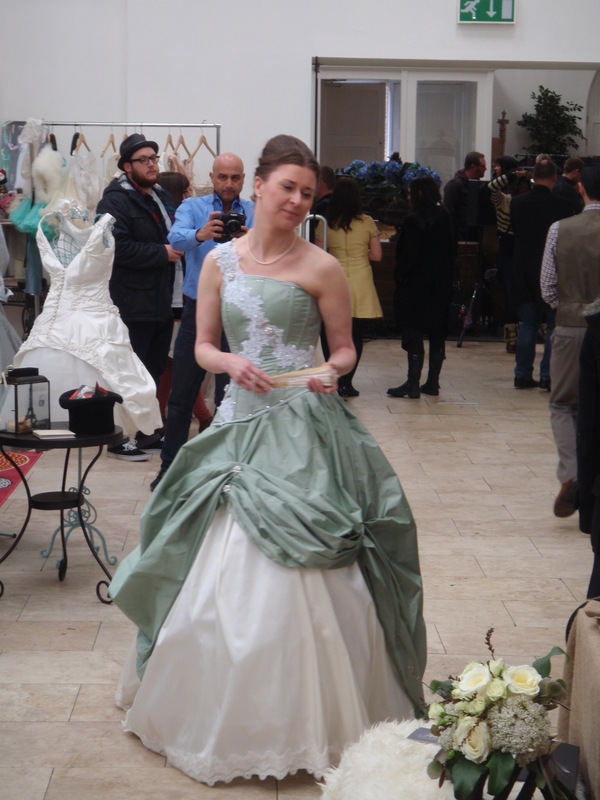 the very unusual wedding fair, The Eclectic Wedding Extravaganza, taking place in Fazeley Studios, in Birmingham was abuzz with people. 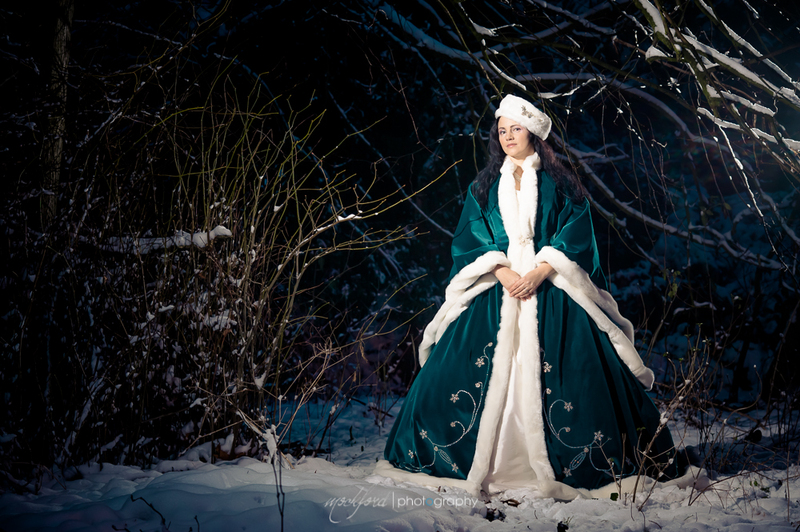 Despite frosty weather, unusual for late March, we managed to get there on time – and so did our lovely models and the stylist, Sarah.. and here’s a short pictorial report from the day! 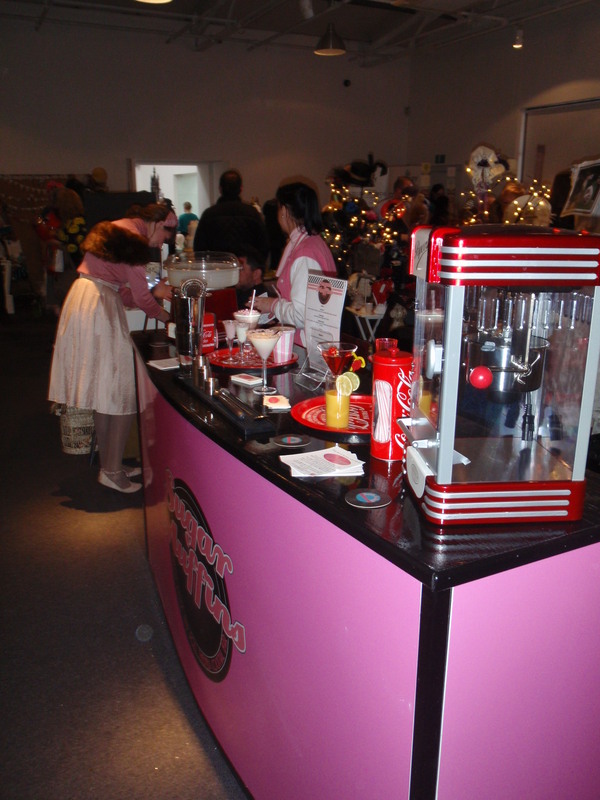 Our stand was not a stand really, but a nice boudoir – very cosy and conveniently placed just off the cafe! 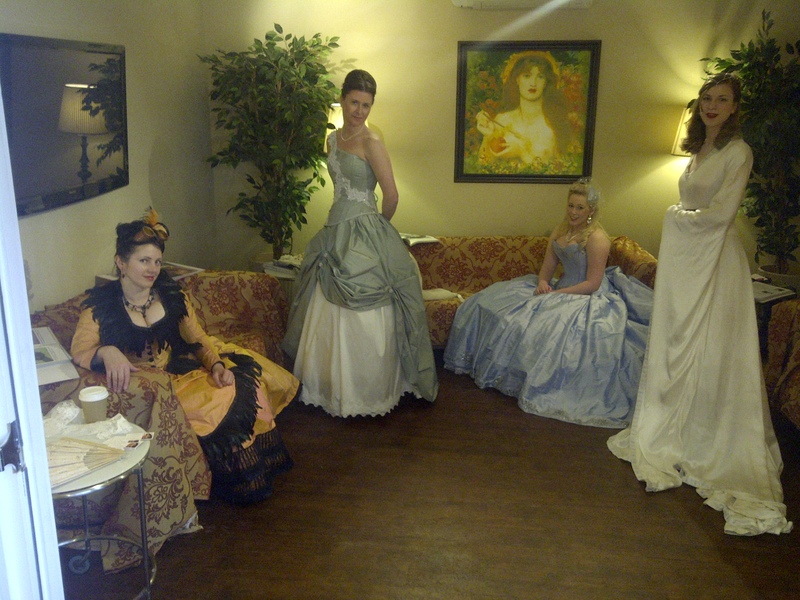 once the place was ready, and the dresses on the mannequins, it was time to get dressed! stall ready, time to get respectable! 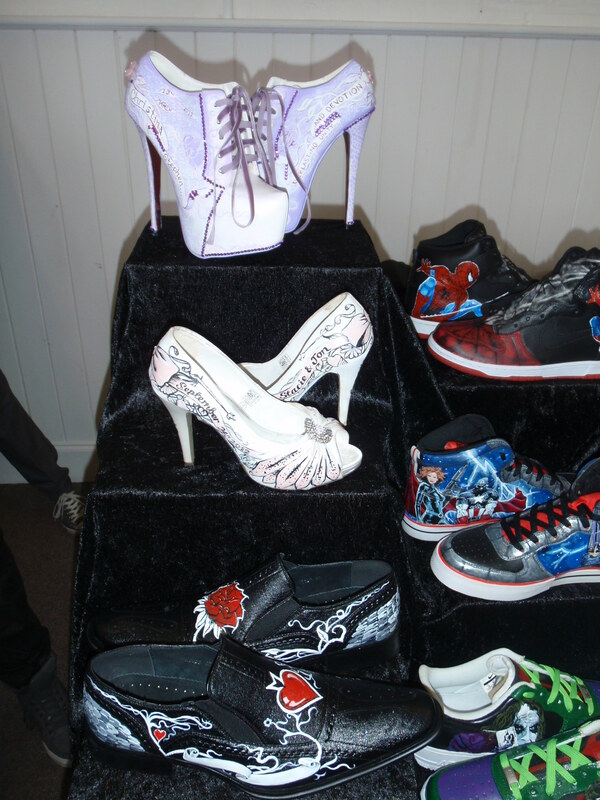 The highlight of the day was the fashion show – there were a few companies taking part, all sporting lovely attire! 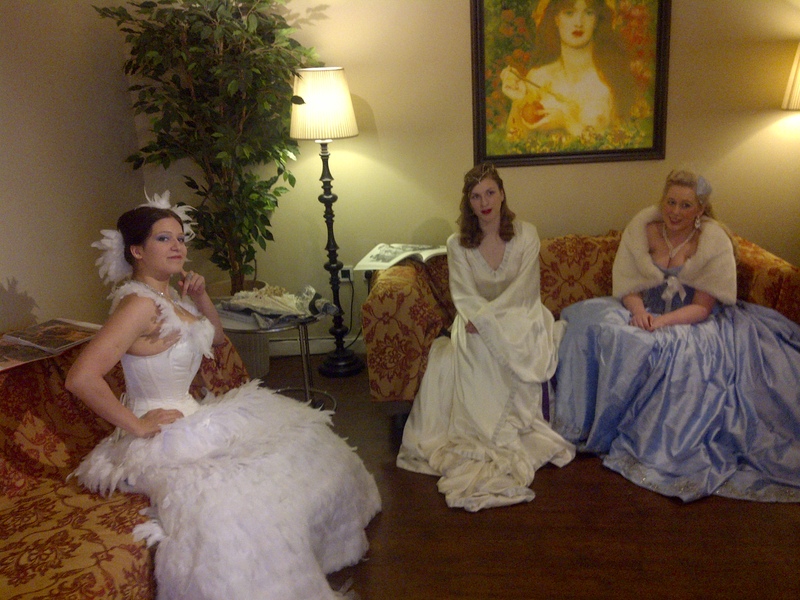 there were some lovely vintage gowns around! 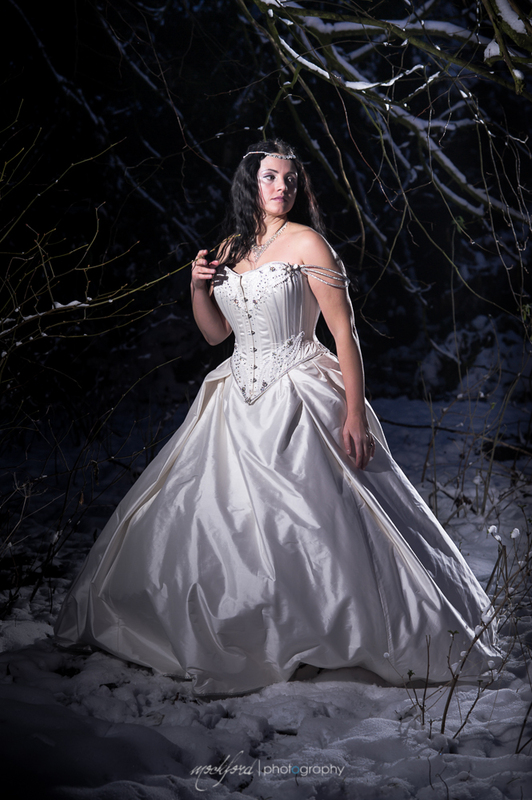 after the show we had an imprompty photoshoot with Jay Mountford – soo looking forward to the photos! 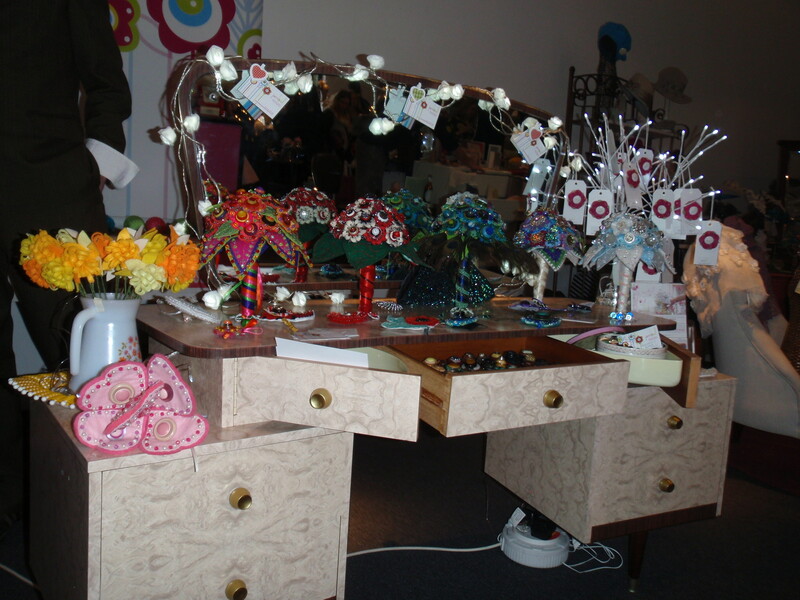 Then back to the stall – fortunatelly our little boudoir was perfect for lounging…. 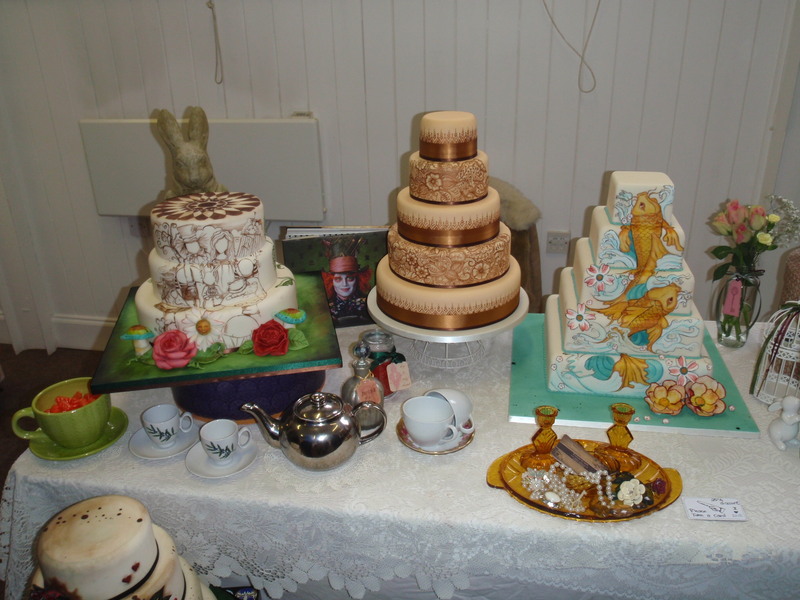 and considering the goodies on offer, we think she showed considerable restrain! 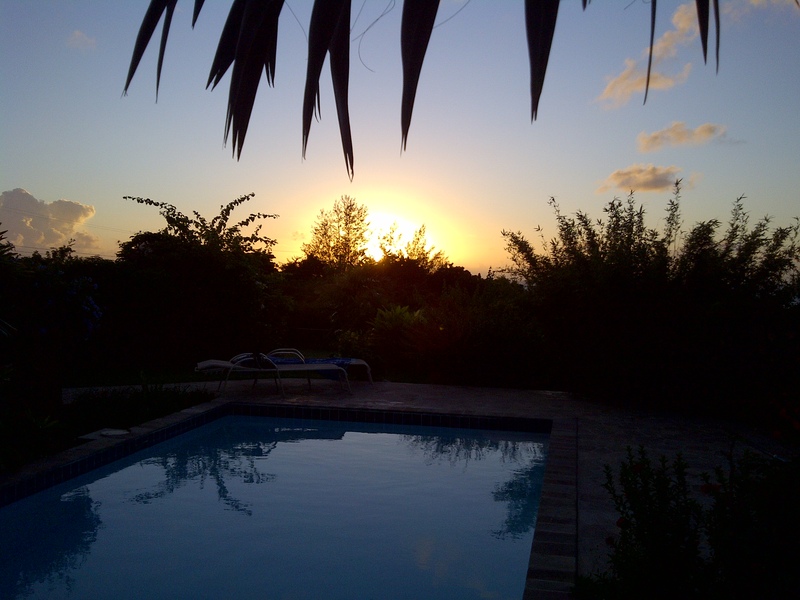 then it was time to pack up, and head back home- tinly little bit fatigued…..
Now back home, enjoying a good cuppa of brown joy! 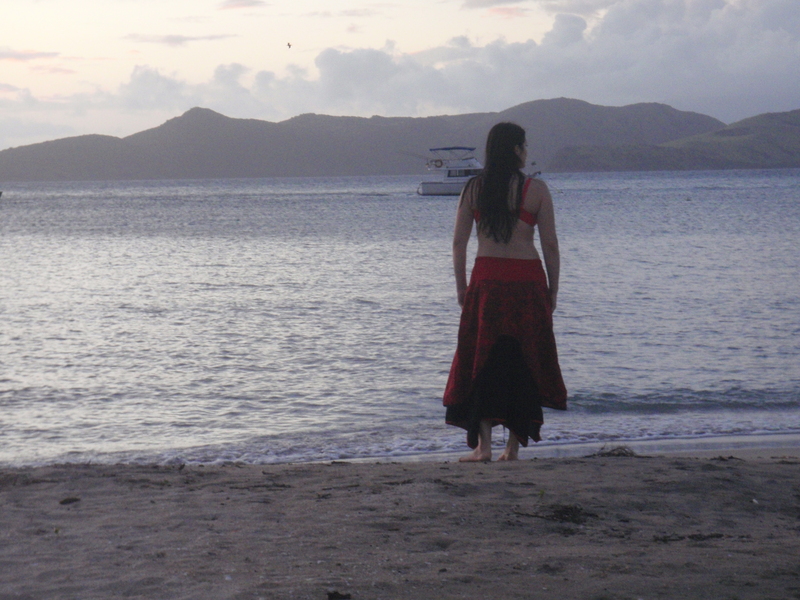 Also, check out the results of the impromptu photoshoot with Jay – some amazing pictures! So you get engaged, spend 10 months organizing the big day, you get married, a bit surprised at how smoothly things went, go on a honeymoon and then back to normal life. 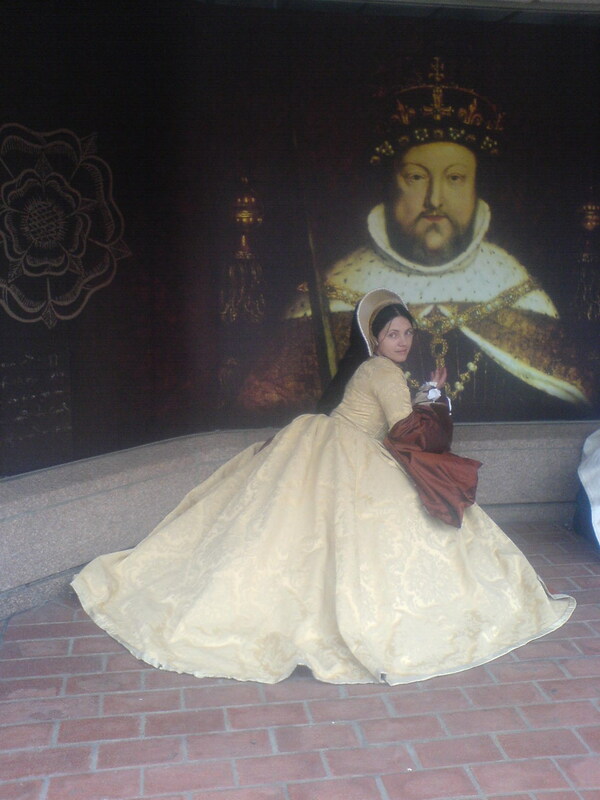 Although my ‘normal life’ is according to generic standards not particularly normal; none of the 9 to 5 thing going on, more of a 8-23, but with breaks for running, coffee, training, naps etc; no work dress code, but then dressing up for events, (one week as queen Katherine of Aragon, the next as a Victorian lady, or a 15th century merchant’s wife, or an aristocratic escapee from the French revolution…), I found that I missed the excitement of the preparation for the wedding. So when my newlywed husband asked me a few months into the wedlock if I had any particular plans for the following year, the answer was: ‘I want a ball! 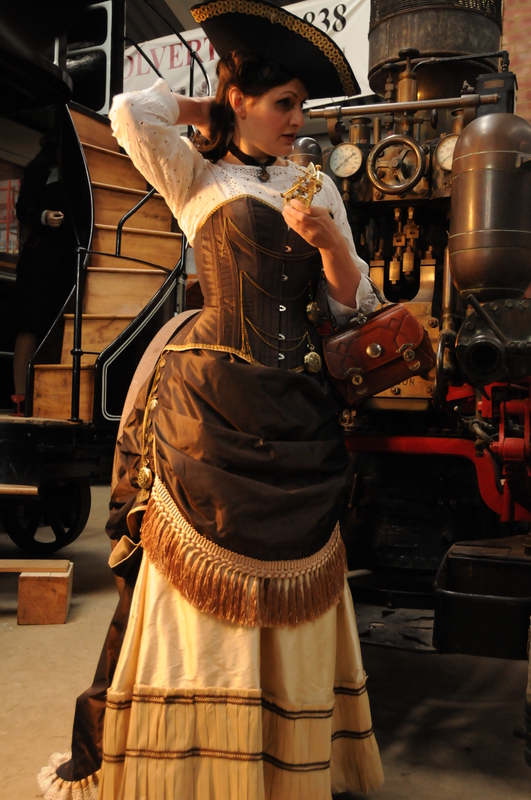 Preferably a Victorian one, but a fantasy/steampunk one would not be frowned upon either’. This sort of wishful thinking is generally ‘easier said than done’, but, with lots of contacts in the re-enactment community, dance groups and alternative subcultures, it turned out to be a bit more feasible. We started with some basic market research, asking a simple question on Facebook. 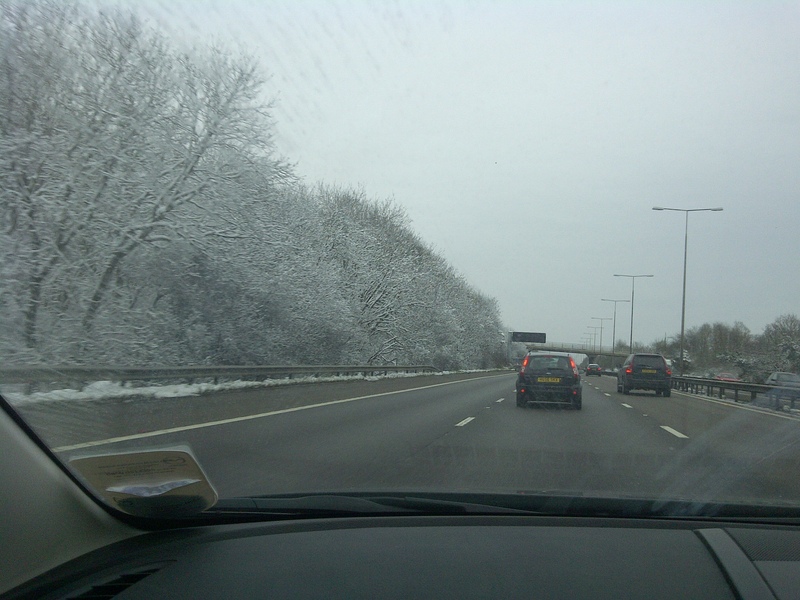 Within a few hours we had lots of positive replies, and although you do tend to take such things with a pinch of salt – usually about a third of the people who declare they are interested in doing something ends up doing it – the rest fall behind as the timing, cost or other life issues pop up. Still, it was a start. Finding the venue was the next big step. 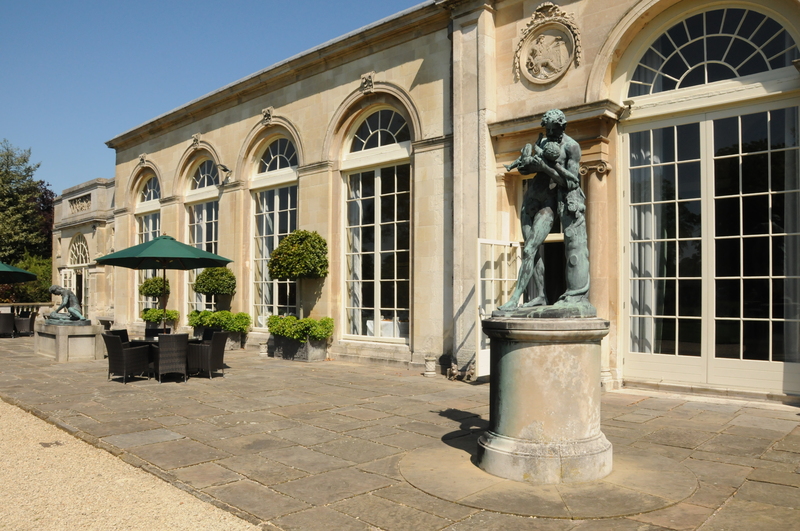 We visited a few suitable venues – Woburn Abbey was stunning, but well above our means – we could afford it only if we didn’t want to offer food, and we felt that a nice little buffet served half way through would be quite popular. Still, the stunning surroundings of the place offer a lot of potential, and I suppose it would be a very strong contender if we ever considered a ball without the option of food. 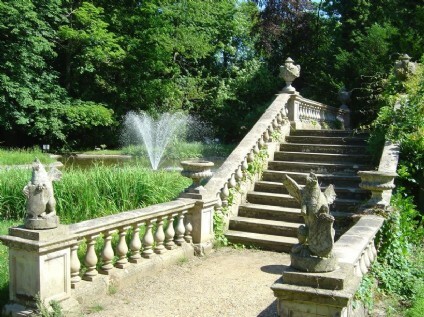 Wrest Park was the next on our list – again, absolutely lovely and one of my firm favourites, but the catering option would eat our finances down to nothing in no time at all, or make the price of tickets far too high. 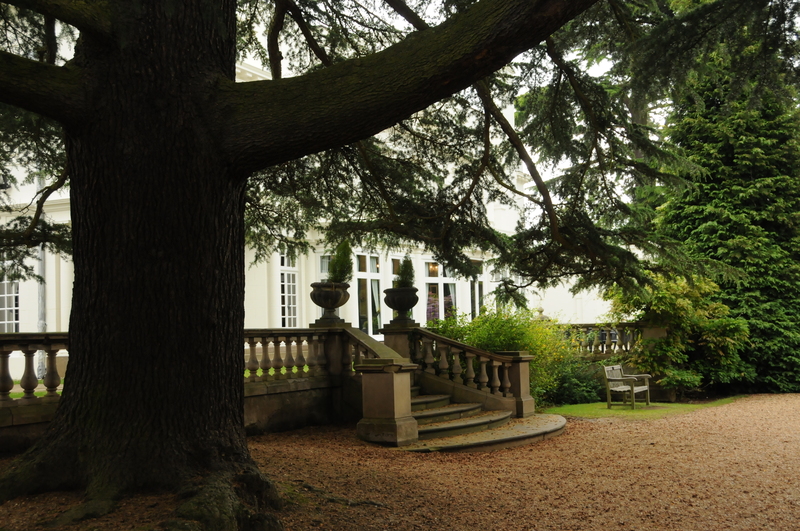 And then we found Heatherden Hall, a part of Pinewoods Studios. After a short visit, we were enchanted. 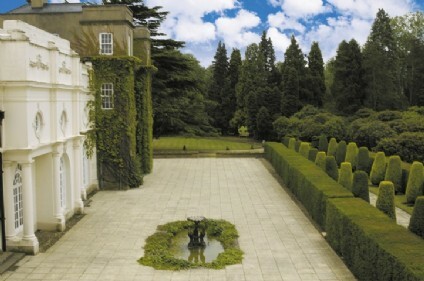 Lovely rooms, stunning gardens, and what’s more important – within our budget – even with the catering. We needed to pay a bit more to cover the cost of covering the entire ballroom with proper dance floor, but it was worth it. Venue booked, ticket prices and guest numbers more or less agreed on, it was time to get a Facebook event going and start advertising, marketing and selling tickets. 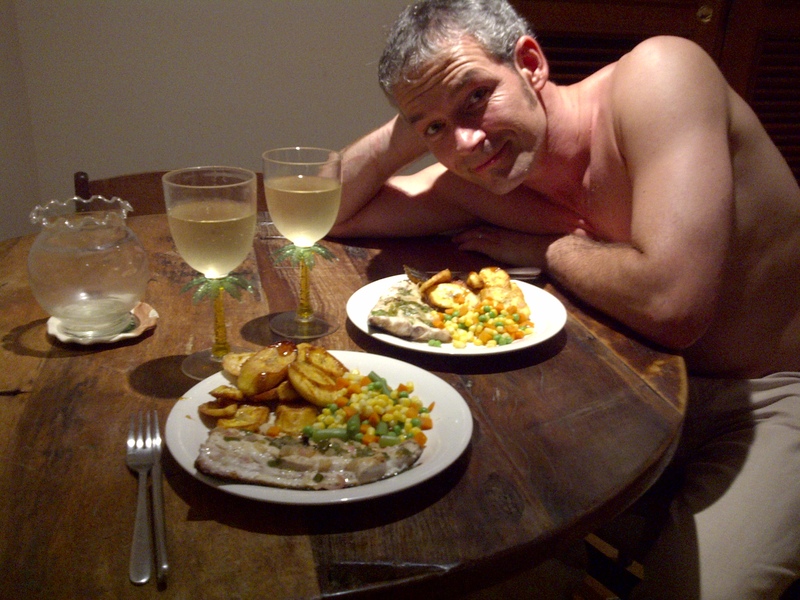 It was relatively early and we still had about 9 months, but it never does any harm to plan early! 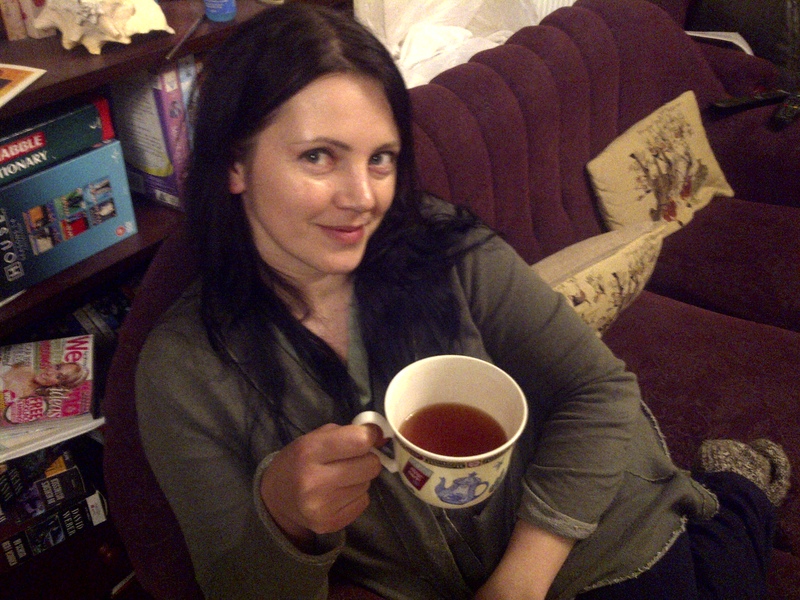 So, let me show you the place and explain what is happening on the day…. 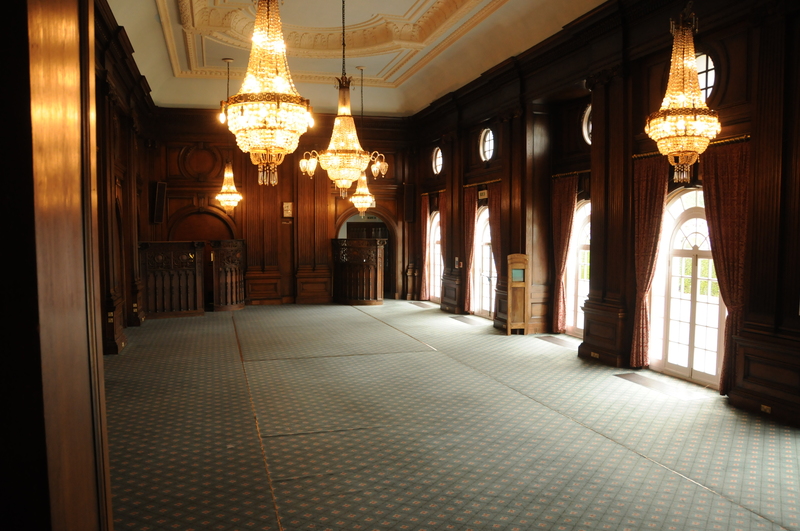 Most important: the Ballroom. This will be floored with oak panelling, entirely suitable for about 200 people to throw themselves around in waltzes, tangos and more modern rhythms. 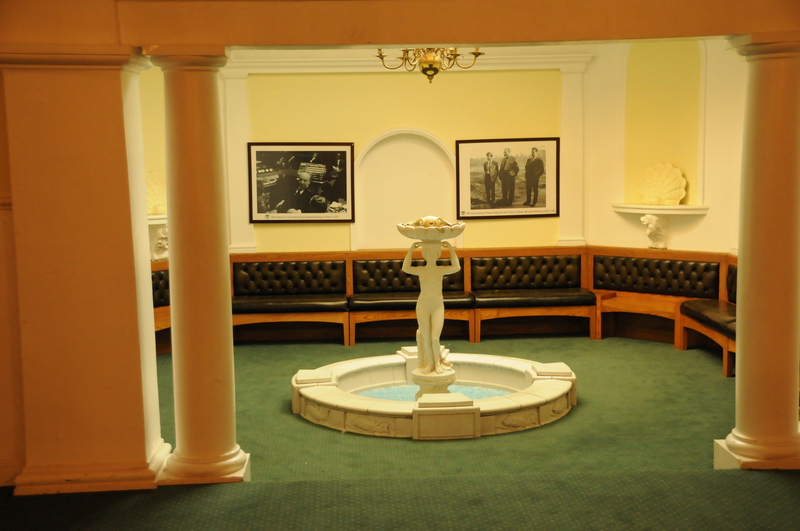 The Pools room – That’s where the grub will be! Tables in the middle, with casual seating all around. 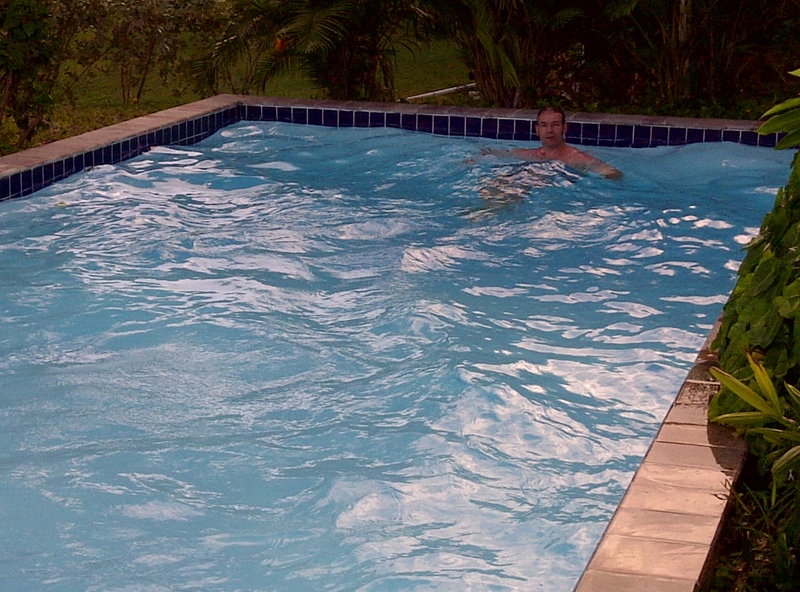 It even sports a very elegant little lounging section with a working fountain! Club bar, selling quality booze! 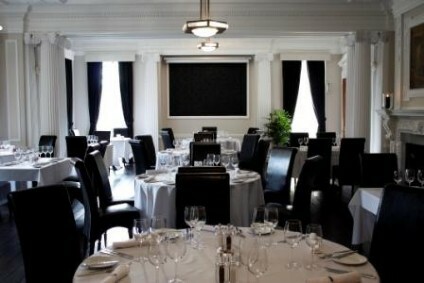 Hitchcock room – ideal to serve the welcome drinks, and for sitting and chatting before the ball starts. 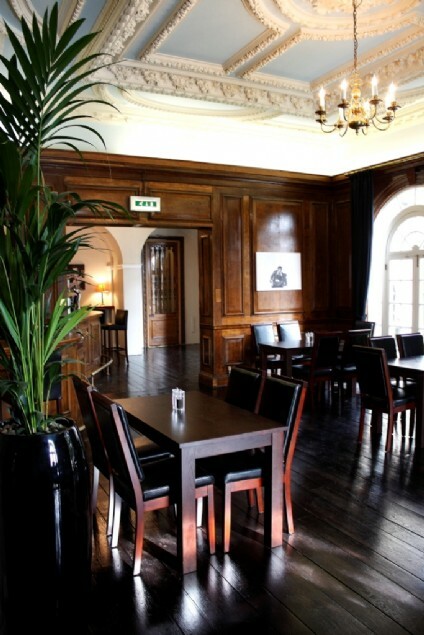 The Pine room – this will form the ladies’ boudoir…. a place for the girls to change into their frocks, and to leave their coats and bags behind. 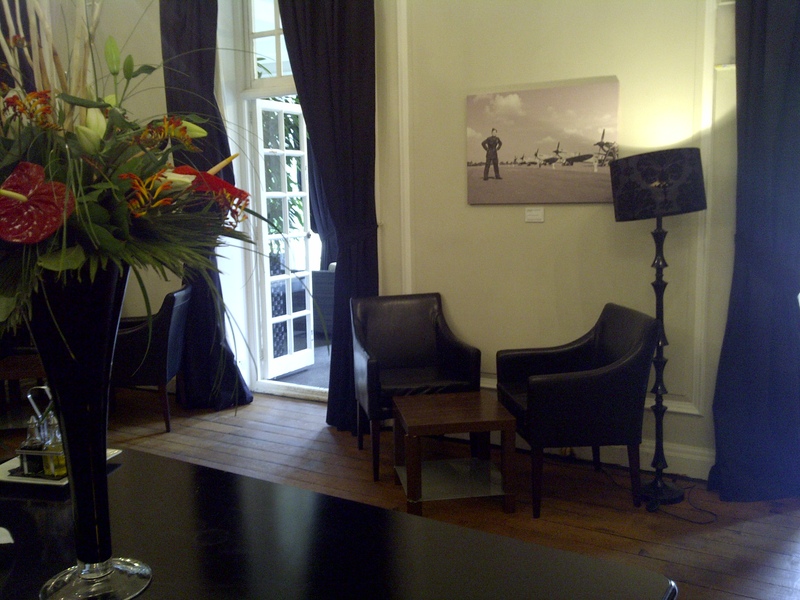 The conservatory – Sarah, our stylist, with her helper Lizzie, will be setting up a beauty parlour there. 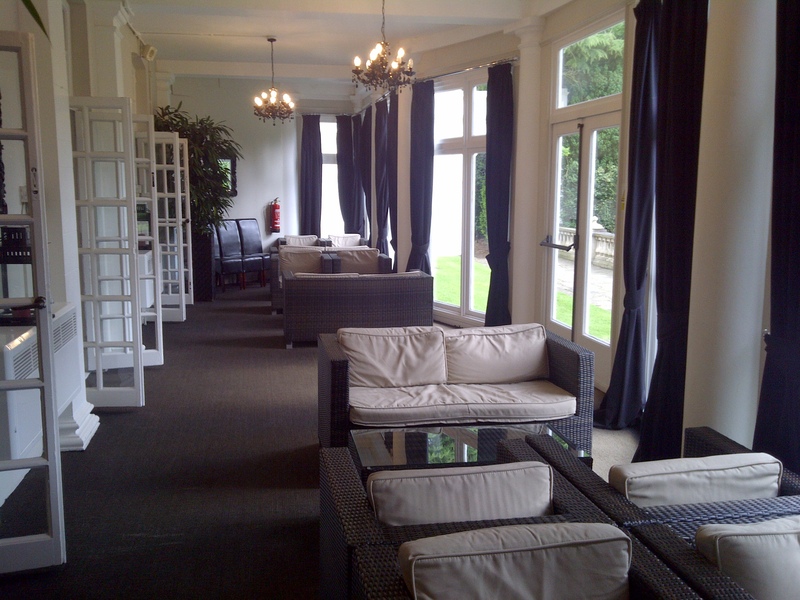 Lots of room to change as well, and it has a direct access onto the patio and to the gardens. 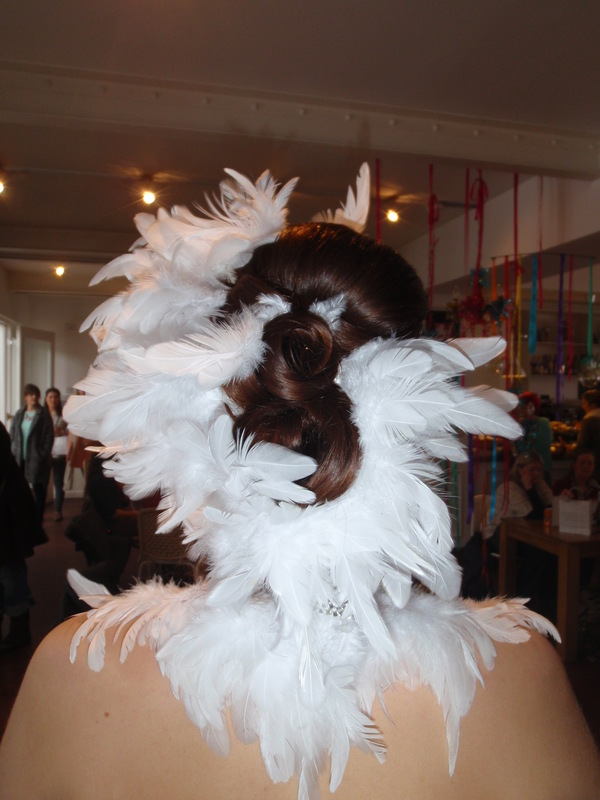 If you want an appointment with Sarah to have lovely make up done and your hair styled, drop her a line – I understand there are only a few places left! 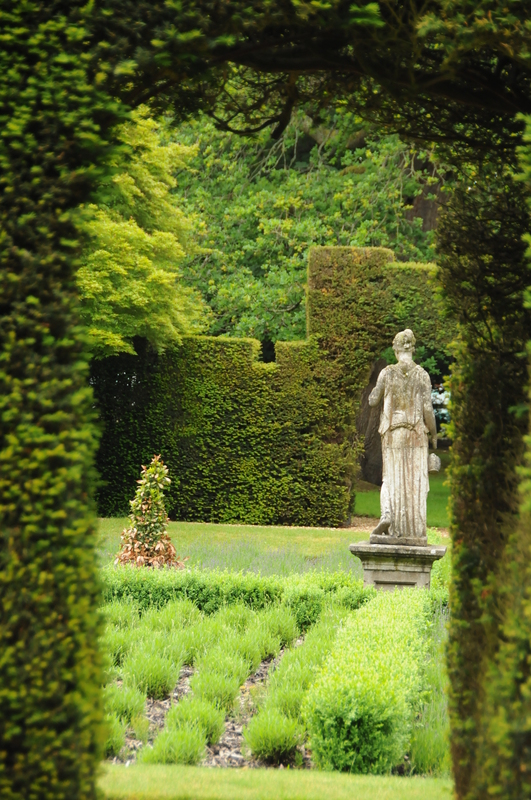 The gardens – absolutely stunning, and hopefully the weather will be kind enough for us to have a relaxing walk about – there are some really lovely spots to take pictures in all your finery too! 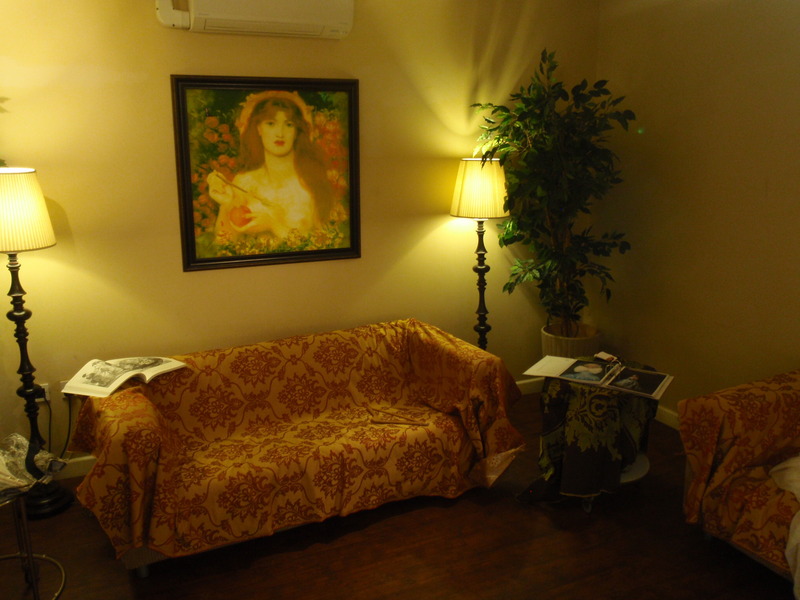 The place will be staffed, including security guards, to make sure everybody can feel safe and relaxed. 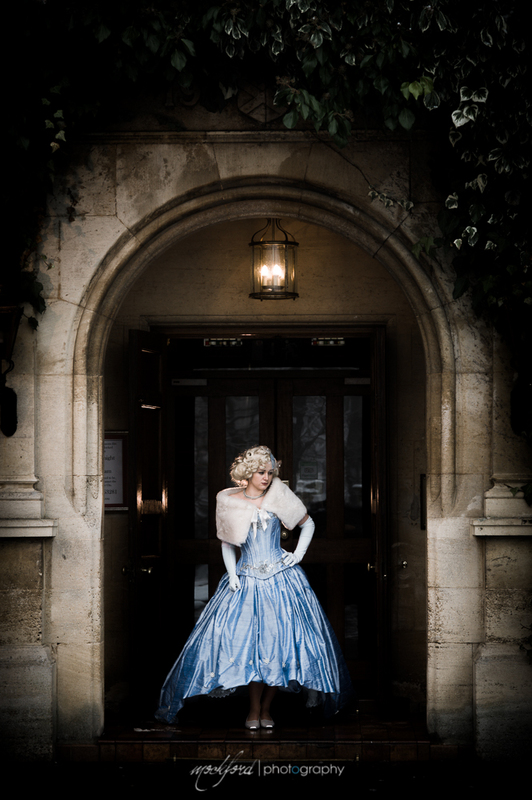 A professional photographer, Paul Mockford, will set up a stand in one of the rooms – there you will have an unique opportunity to have your photo taken by a professional photographic artist, and printed on the spot, for a small charge. Access to the venue will be from 6pm: you will then have about an hour and a half to make any final preparations, enjoy your welcome drink, have a stroll in the garden and enjoy the surroundings. The ball will open from 8pm. 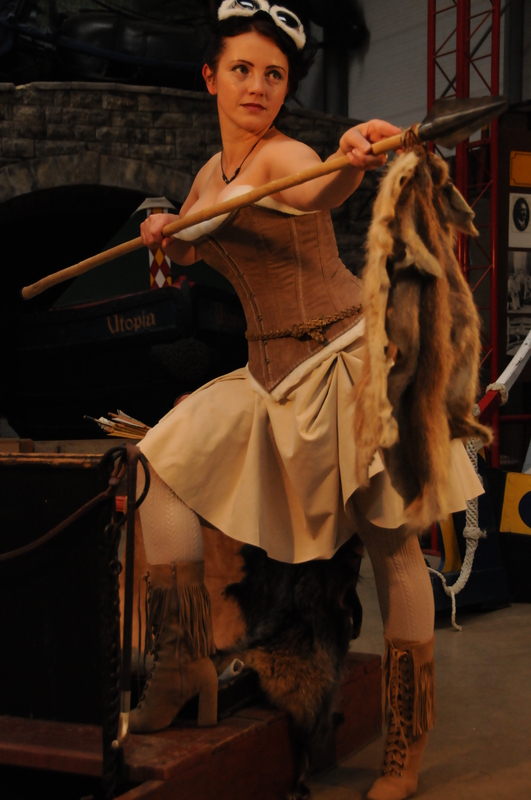 For the first hour, the talented Charlotte will be putting us through our paces in some historical dance tuition. 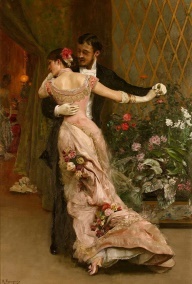 Do not be afraid, most dances are not fast (though we may have a go at a waltz and a polka…) and can be danced with either male or female partner. 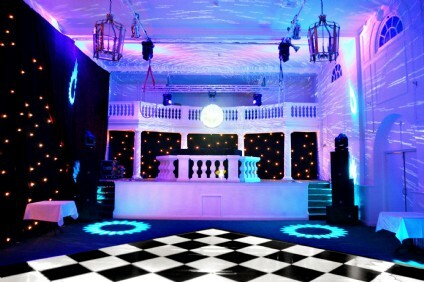 Sophie and Chris from ‘Blast from the Past’ will be providing live music for this part of the ball! Once we have practiced our dancing and are all warmed up, our DJ will kick in with more traditional music: we will have some waltzes, tangos, polkas, etc – since the ball is named after a song from the Moulin Rouge film, the music from the movie will feature strongly on the agenda! We will mix in slower dances with more modern beats, so expect a fully eclectic mixture – from polkas, jazz, cha -chas and salsa to rock and roll and modern dance pieces, so that everybody will find something to hop, jump, glide, swoosh, sway and spin around to. We will most likely start with the traditional and dance our way towards more modern tunes as the night progresses – so ladies wearing more cumbersome frocks are free to dash to the Pine room and change into less restricting attire, should they wish. 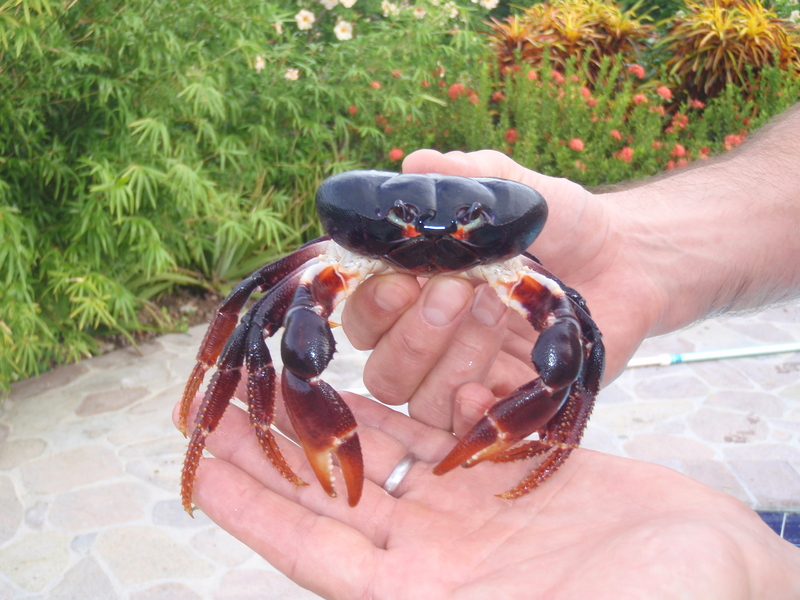 And when hopping around gets a bit tiresome – the buffet in the Pools room will be available from 9pm onwards. The menu is rather impressive we combined two different sets, making sure there is a more or less balanced choice for all of our carnivorous and vegetarian guests, with special diets catered for as well. The Hitchcock Bar will be open until 12.30 … so there will be plenty of drinks to quench your thirst. Breaded King Prawns with a Mango Salsa. 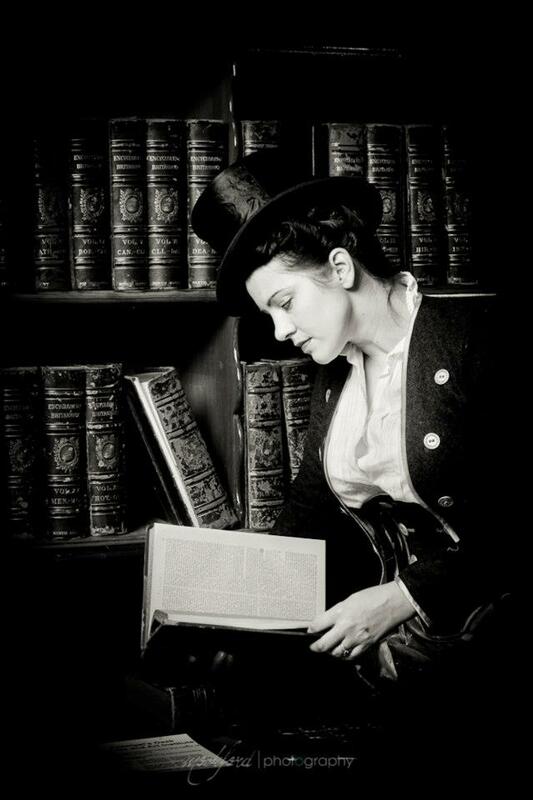 Although Moulin Rouge Victoriana/Steampunk or evening wear is recommended, we expect a truly eclectic feel to the evening; simply wear whatever makes you feel Spectacular and Special, and you will dazzle! 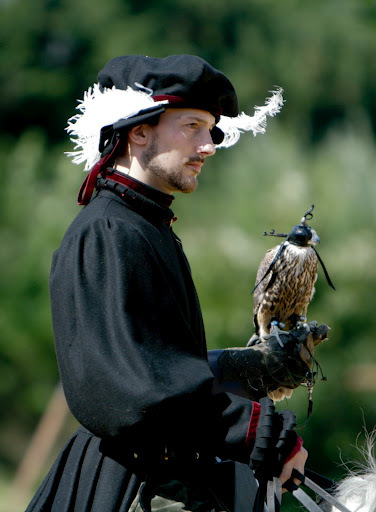 So whether it is a Tudor dress and a top-hat, a Venetian carnival outfit, a Steampunk gown or a modern evening wear, simply be whoever you want that night. The one thing that WILL be expected of you, (at least for the first hour or so), will be a mask…. And so now, with just 6 weeks to go, the pressure and the expectation are starting to build – I cannot wait to see all the people dressed in their finest, swanning around, swaying to the music, or lounging around the fountain; gallant gentlemen helping the ladies to find the tastiest morsels, the chevaliers whisking their sweethearts away for a romantic walk in the garden; ladies chattering behind their fans about the dances and frocks; the men enjoying a whiskey at the bar… ‘romantic, nostalgic and passionate’ is the feel I would like to experience for the night – and that depends on the people taking part. Somehow, I do not feel I will be disappointed – and I know we will have a great time – in fact, we will have a Ball! 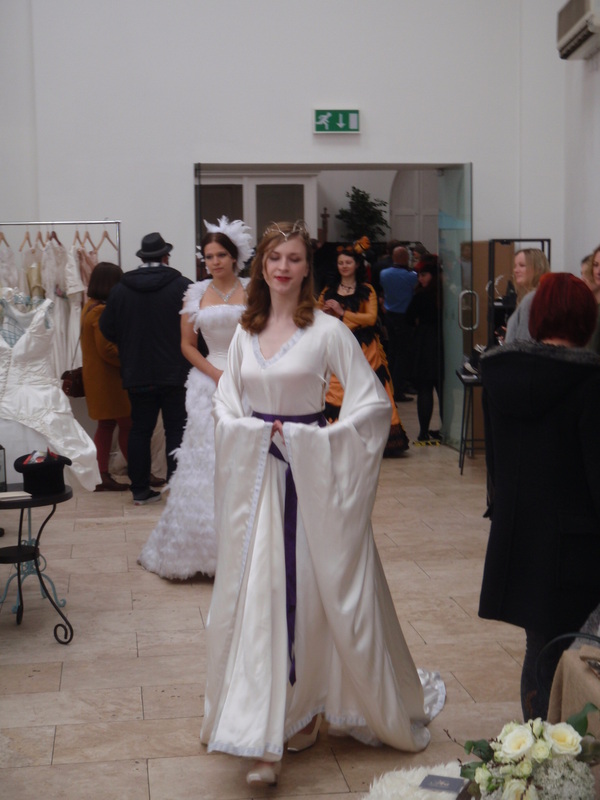 A brief glimpse at the newest collection of the sample bridal dresses from Prior Engagement – all handmade examples of what can be done with a few basic tools and a pile of silks…. 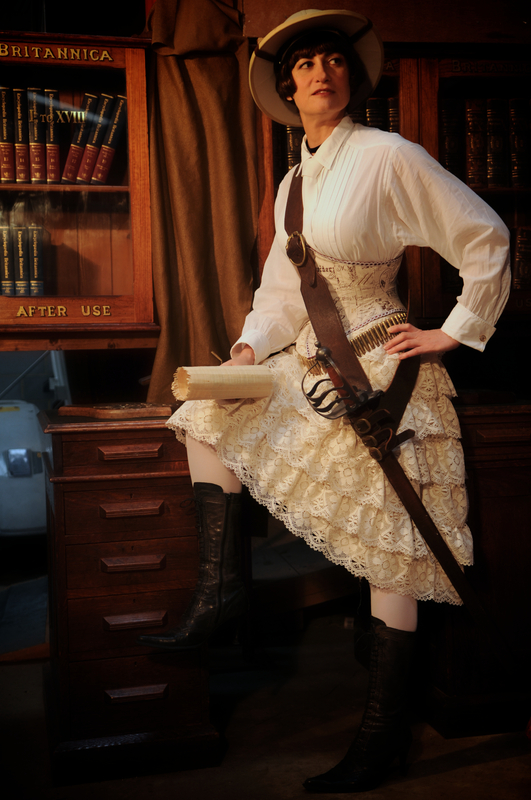 Prior Engagement is a sister branch of my main company, Prior Attire, and specialises in unique historical, Steampunk, unusual and definately unorthodox wedding dresses – all bespoke made, one-of-a-kind designs. We have booked the venue, Woodland Manor Hotel about 4 weeks in advance, hoping for some snow on a day, but knowing that even if there is no wintery magic outside, the interiors will provide us with lots of interesting background. Fortunatelly, a week before the shoot it snowed and on the day of the event we had snow – and quite a lot of ice…. Paul Mockford from Shears Mockford Photography , with whom we worked before on a 18th century bridal shoot at Harrowden Hall. Jason was on hand to help him out with the lights, as was my husband, Lucas ( who was also snapping away…). 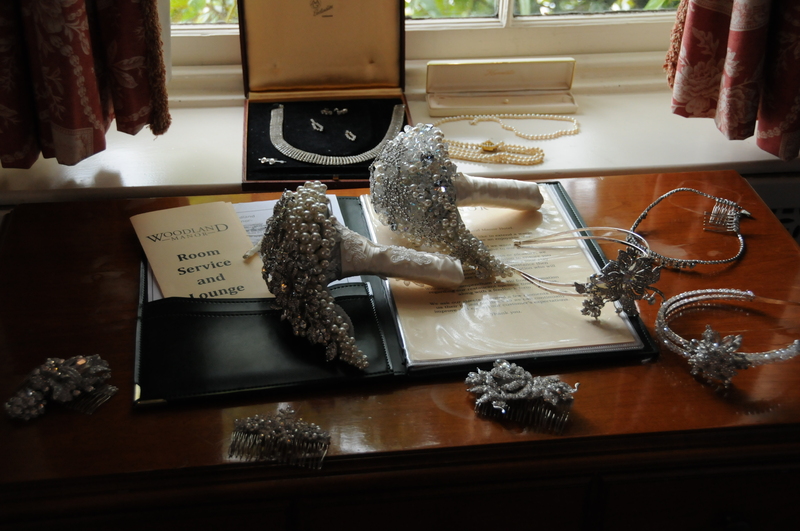 Tina Haden from The Haberdashery Bride was providing lovely b ouquerts, tiaras and combs. Kat Allen from Rose Tinted VIntage in bedford provided some lovely jewellery and Lizzie pauling from Lil MIschief furnished us with some furry accessories – hats, fascinators, stoles and capes. 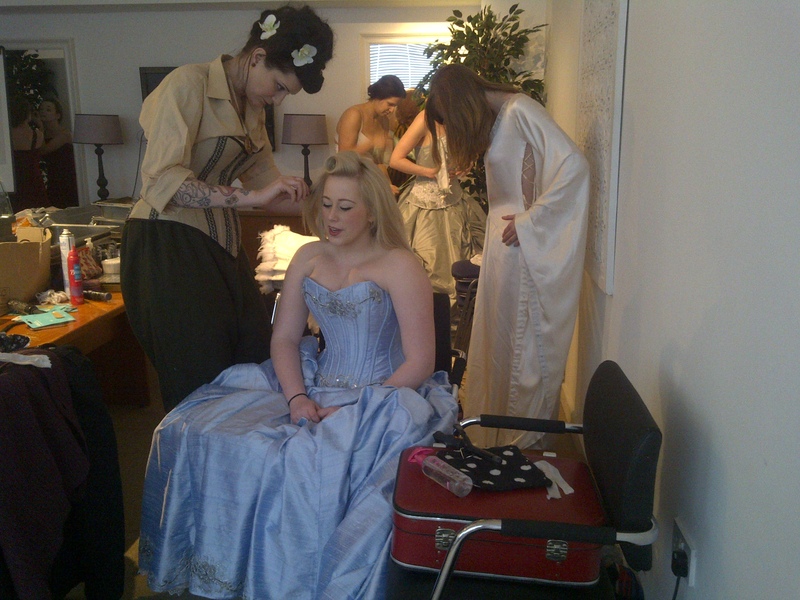 Our models were: Gem Bow Tyke, Sophie Mathews and me! 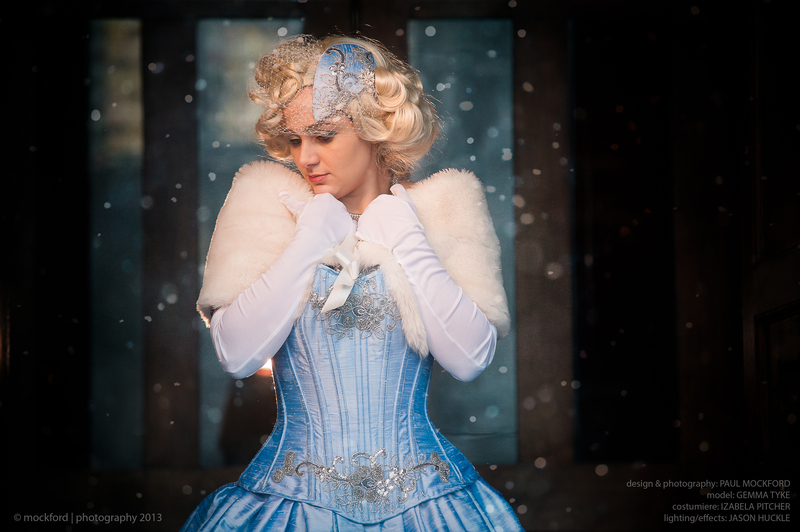 Corset and skirts in shimmering blue silk duponi, handapplied silver lace decoration and beading. the skirts could be pinned up with tiny snowflakes for a more contemporary look! A fun gown in silk taffeta, decorated with lace, beaing, rhinestones, brooches – lots of sparkle! 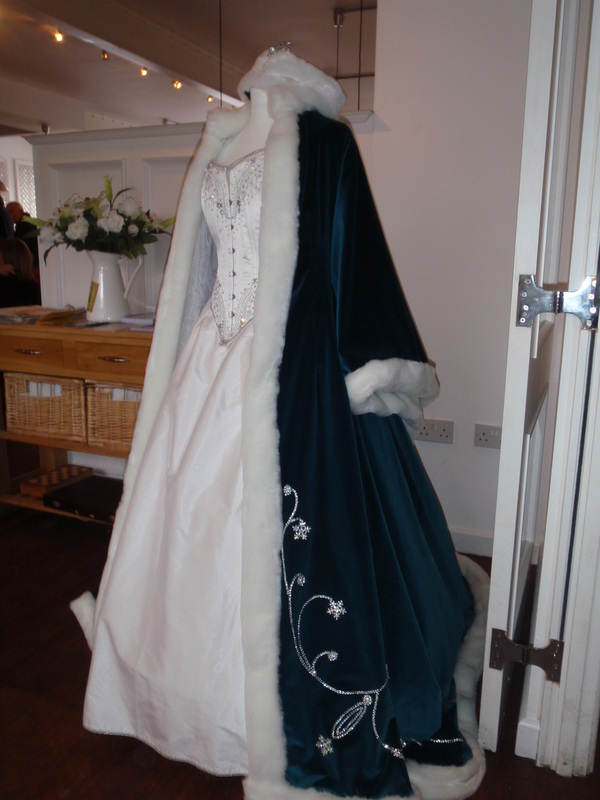 A coat to keep the bride warm on her way – in cotton velvet, lined with silk, trimmed with faux fur – and decorated with thousands of blingy bits! 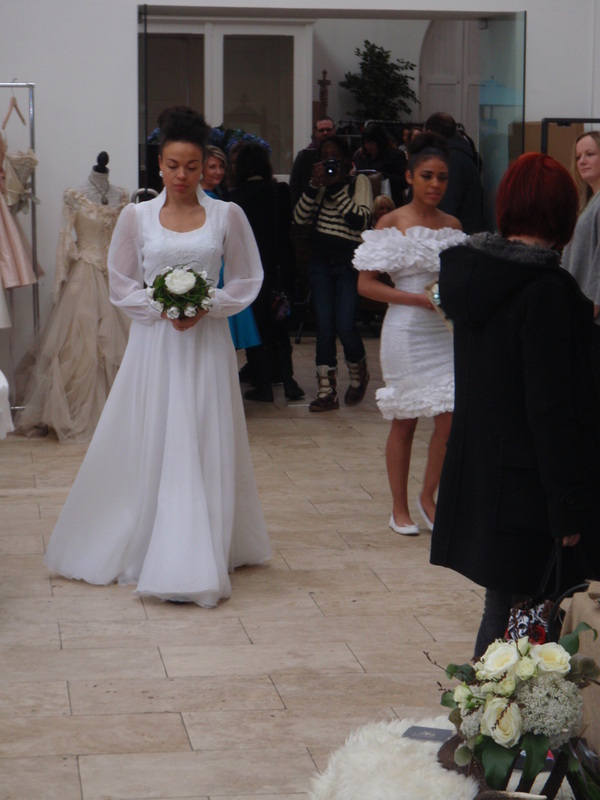 Many thanks to all involved – and looking forward to shooting our Spring Bride Collection in April! 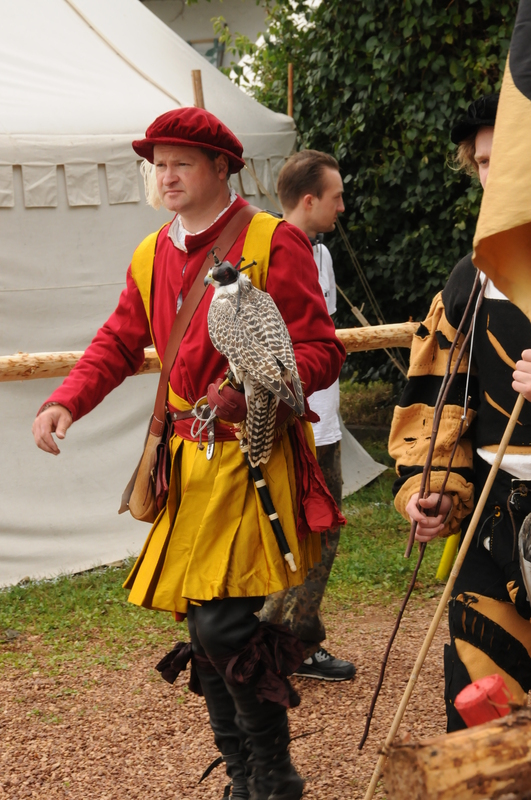 Last year I was commissioned to prepare several outfits for The Grand Tournament of St.Wendel. 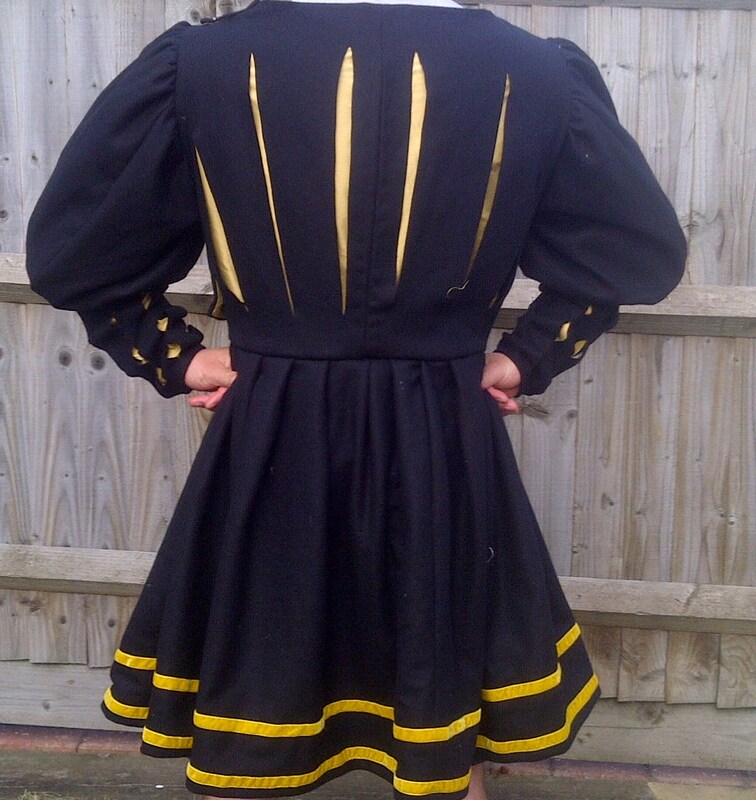 As I am now working on a similar order ( 4 Tudor coats for Griffin Historical ), my mind inevitably wandered back to the previous commission – it was simply so much fun to research the garments, make them, and then see them in action at the tournament. 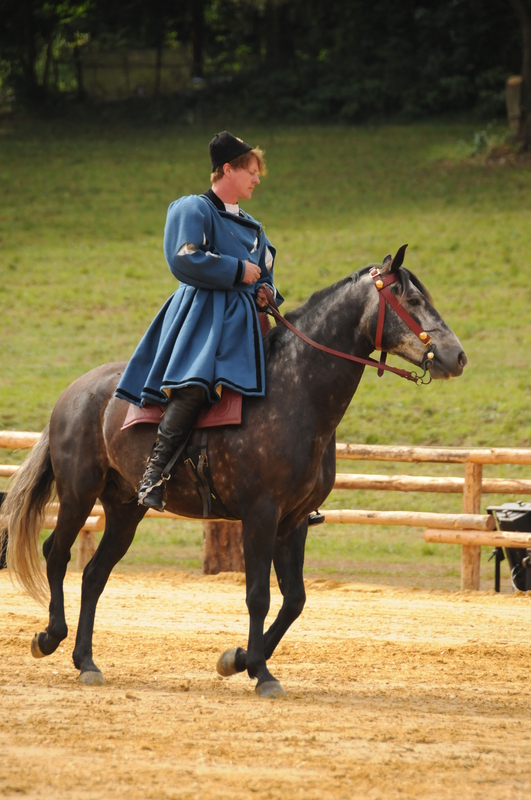 The garments in question, 12 early 16th century coats ( Rock, or wappenrock ), plus two Durer gowns, were commissioned by a friend of mine, Arne Koets – an excellent jouster currently working for a Buckebrug museum. 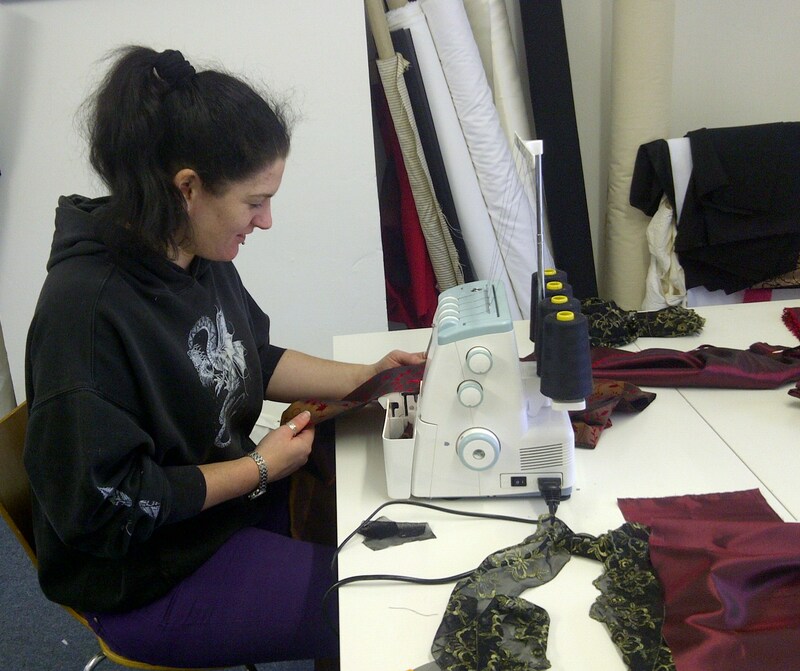 Almost all the garments were to be ready in September, delivered in person. 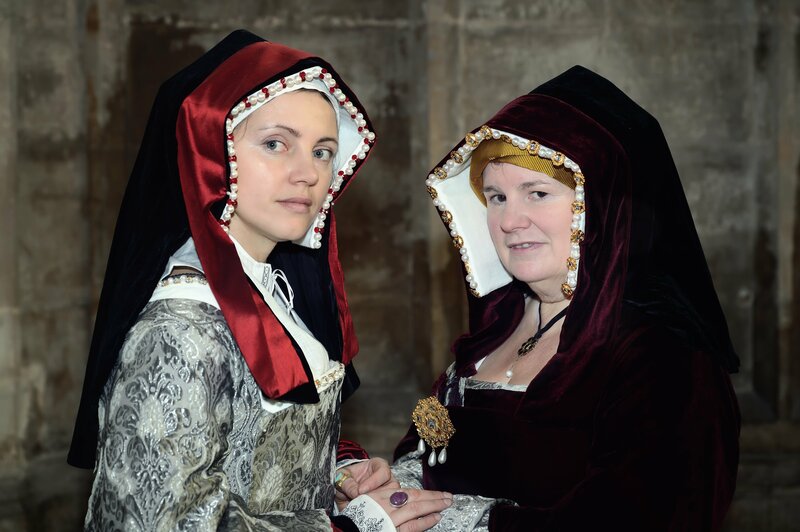 the exception was a separatelly commissioned late 15th century robe and a dress based on Durer ‘s Nuremburg dress; both items were sent over in June. 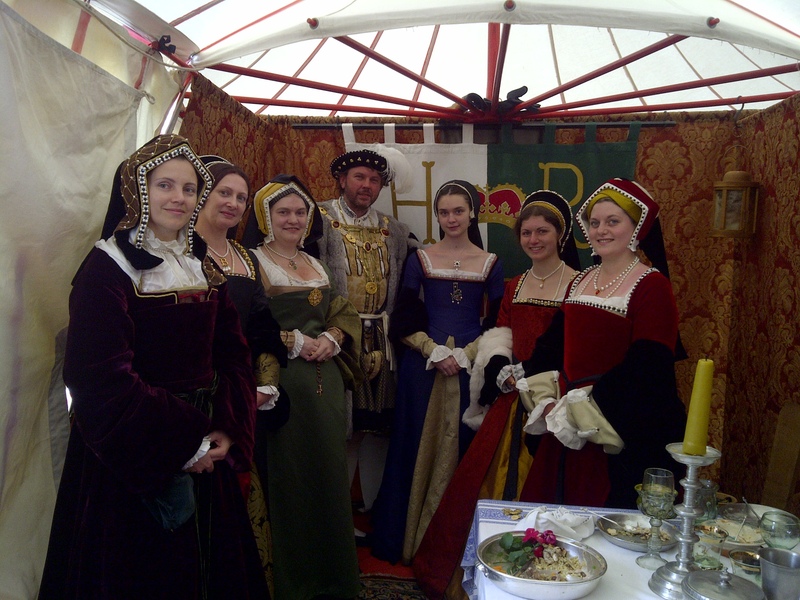 The rest of the garments were made in the few weeks leading to the tournament, and were a joy to make. I was given a relatively free rein within the set parameters, at least as far as the finish and decoration went. ‘The more varied the better’ was Arne’s look on the matter and so I set about making 12 garments, in different colours, sizes, with different finish – with velvet ribbons, without ribbons, with simple slashing, no slashing or a more complex slashing pattern. 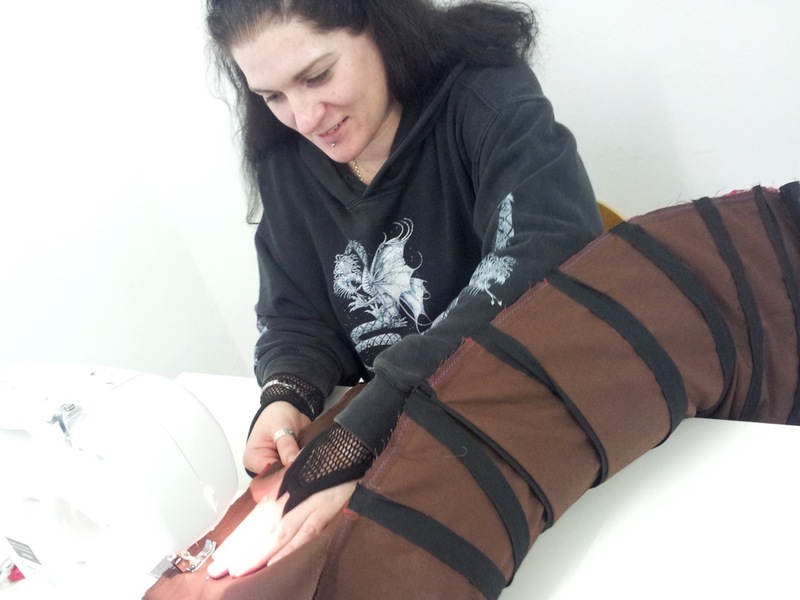 Posting the finished garments on my FB page meant I could adapt the design as I was going, since it was easy for Arne to see the work on daily basis and to give immediate feedback. 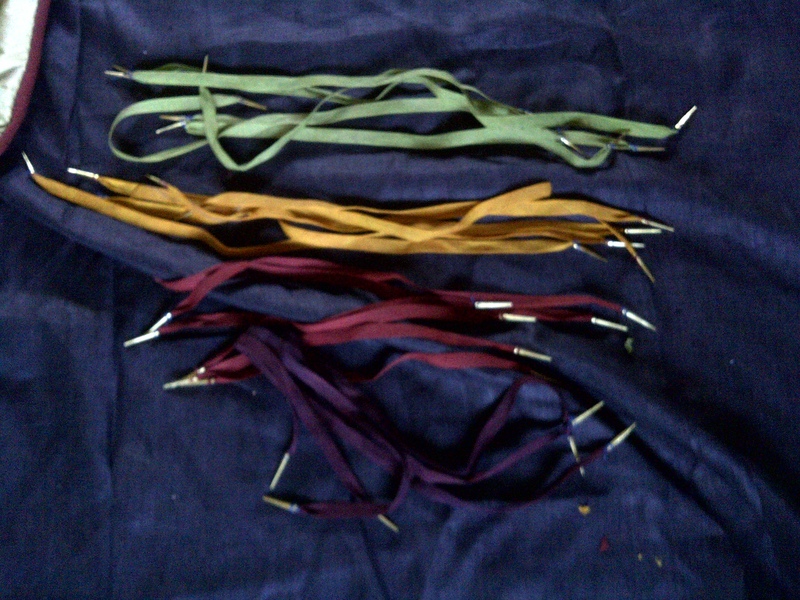 All the coats were fastened using brass hooks and eyes, plus linen tape ( dyed using natural pigments) with aiglets – both purchased from Annie the Peddlar. Apart from the coats, the order included headdresses – and again, i was free to decide what kind and make sure they were varied enough. I finished it all in good time – in fact, I even managed to get myself a suitably german headdress, to mix with the crowd…. at the event, sporting my new German hat! All the gear was packed into the car and off we went, driving to Sankt Wendel, in South Germany – just off the Black Forest, so a beautiful place. 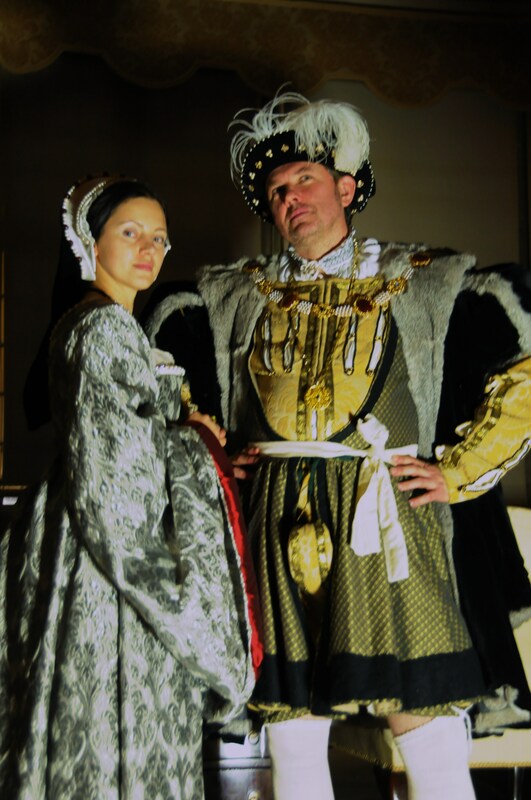 We arrived Thursday night, in time to try on the other Durer gown, just in case we needed any adjustments – the two gowns plus the coat for Arne’s were not generically sized, but made to measure, with distant toiles. 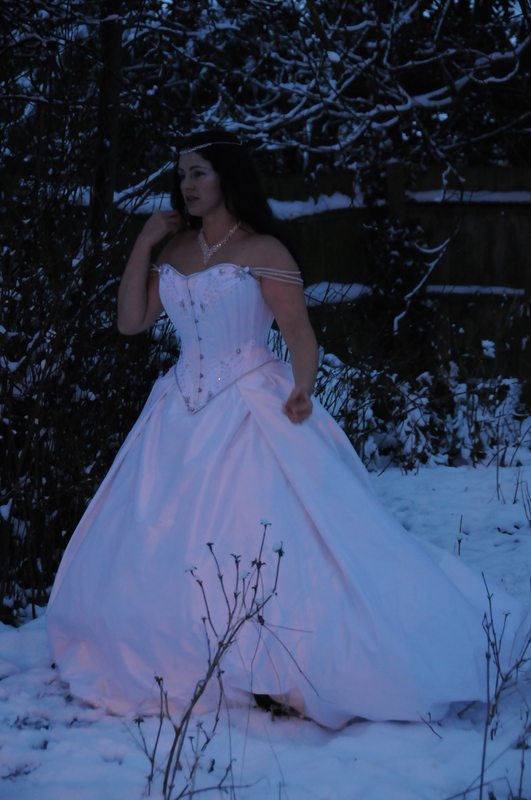 Fortunatelly, the gown fitted perfectly! 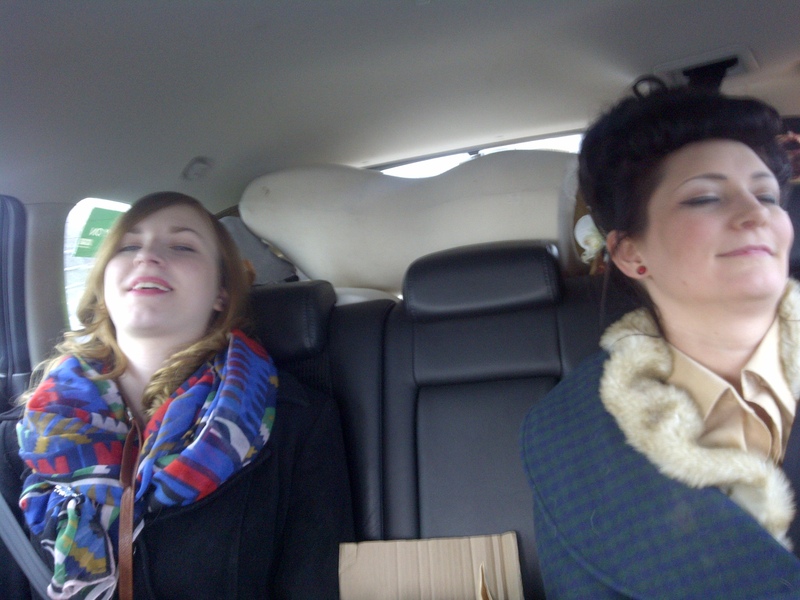 Then it was time for sleep – much needed after such a long drive! The next day marked the beginning of the tournament. After the morning briefing, detailing everybody’s roles, timing, performances etc, folks went about their business. 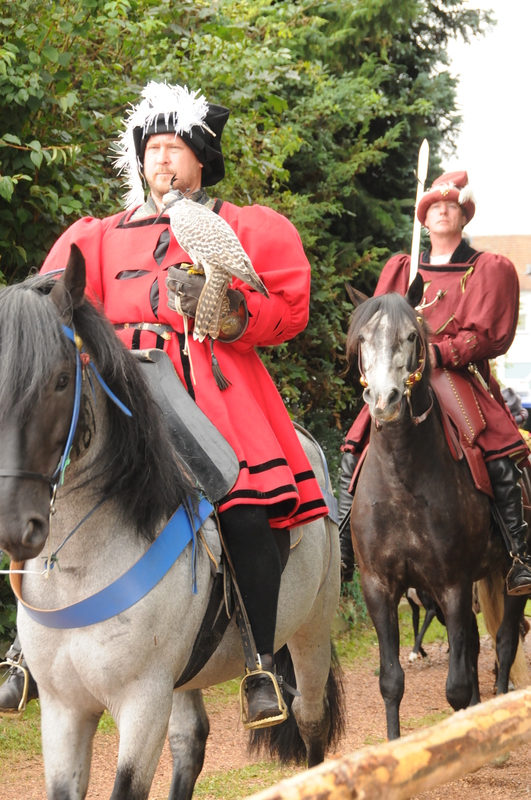 The site consisted of a recreated early 16th century encampment and the display arena and there was a lot of work involved in getting all the equippment ready. 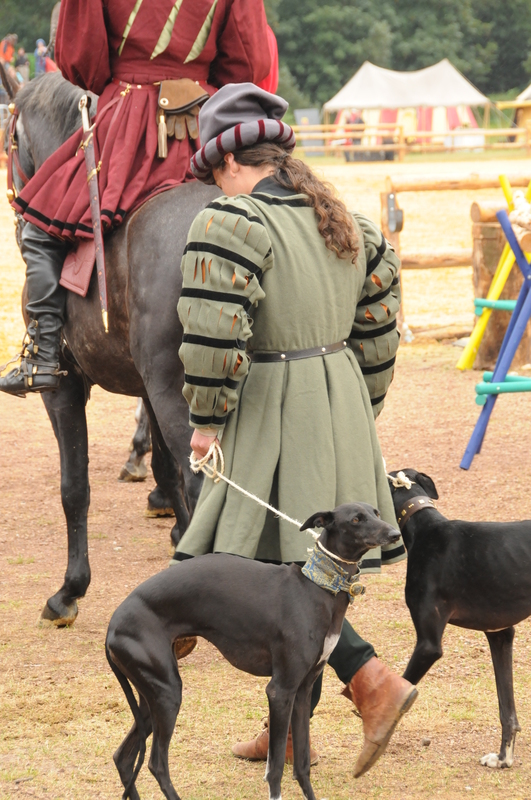 Since the event was starting at about noon, there was time to try on different outfits and see which coats matched who, and there were some who found some time to give the horses a warming up exercise session:-). 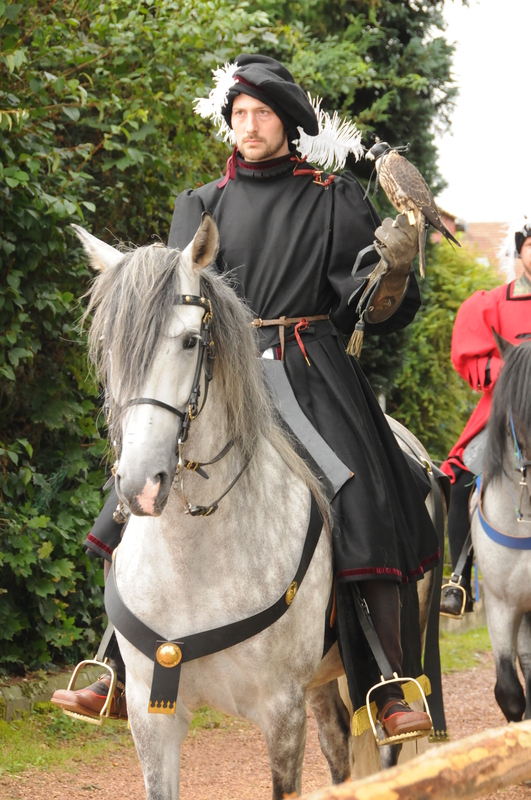 Then it was time for everybody to get ready for the first display of the day – a hunting party, flying birds of prey. I spent the last weekend in the well appointed studio belonging to a friend of mine, Julia Bremble. 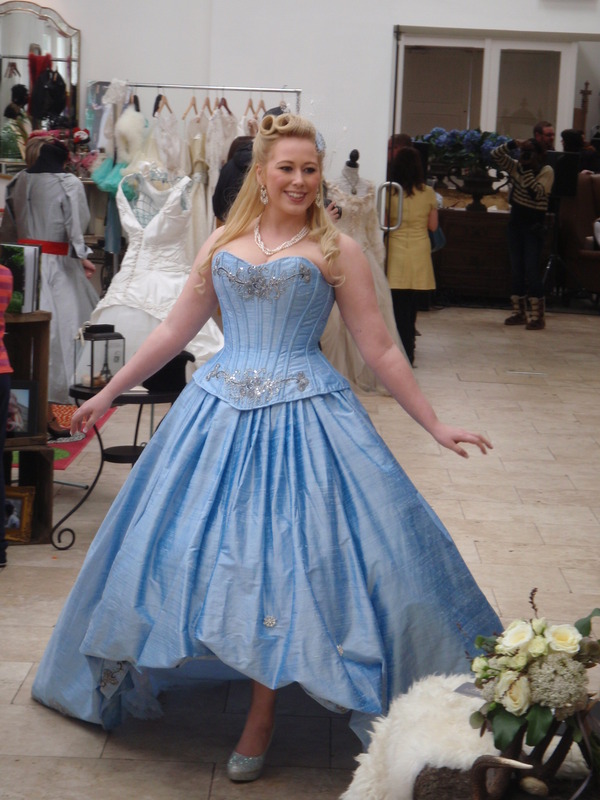 Julia is the corsetiere artist behind the Clessidra ( http://www.clessidra.co.uk) specialising in bespoke corsetry, and she also runs an online shop, Sew Curvy, with corset kits and supplies. 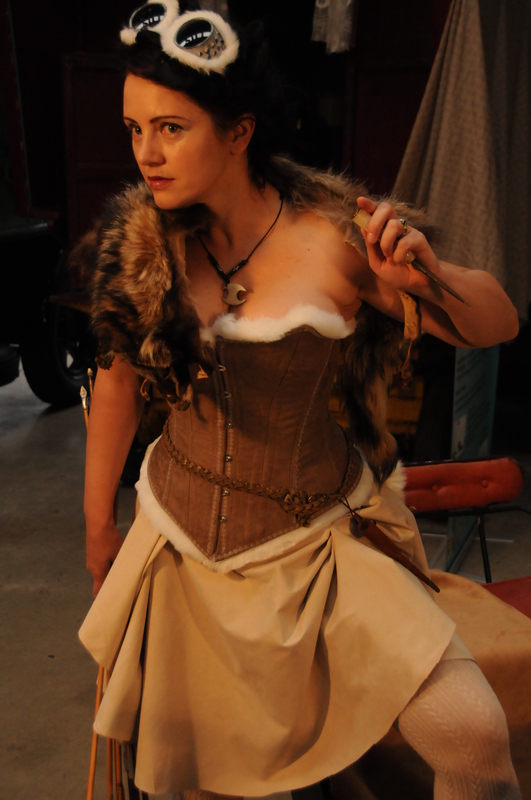 An author of a very helpful e-book on making corsets, Julia teaches corsetry as well – and her workshop is ofen used for courses and classes of other creative artists – Jenni Hampshire from Sparklewren holds regular classes there, as is the owner of the lovely Crikey Aphrodite. 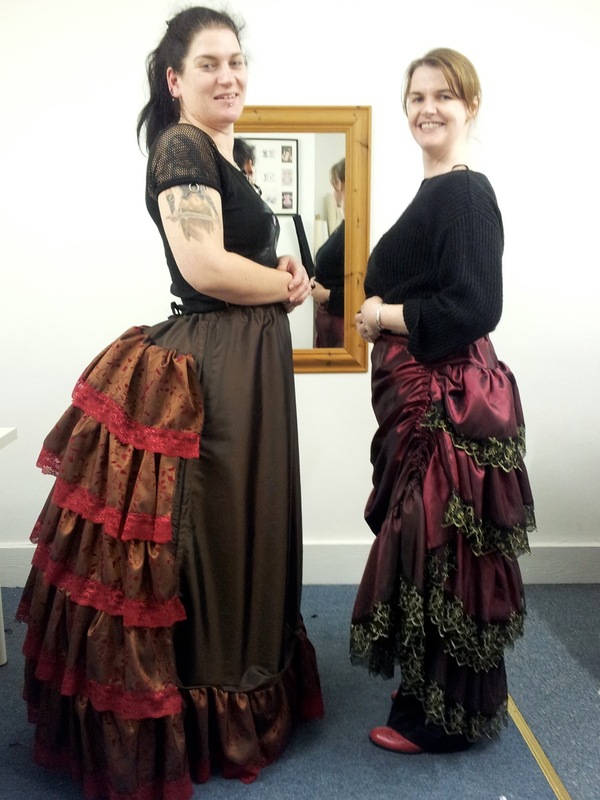 Last weekend it was my turn, and we spent 2 lovely days working on Victorian bustle cages, bustle pads and petticoats – either in their proper Victorian form or with a twist, as Steampunk renditions. Saturday was the bustling day. 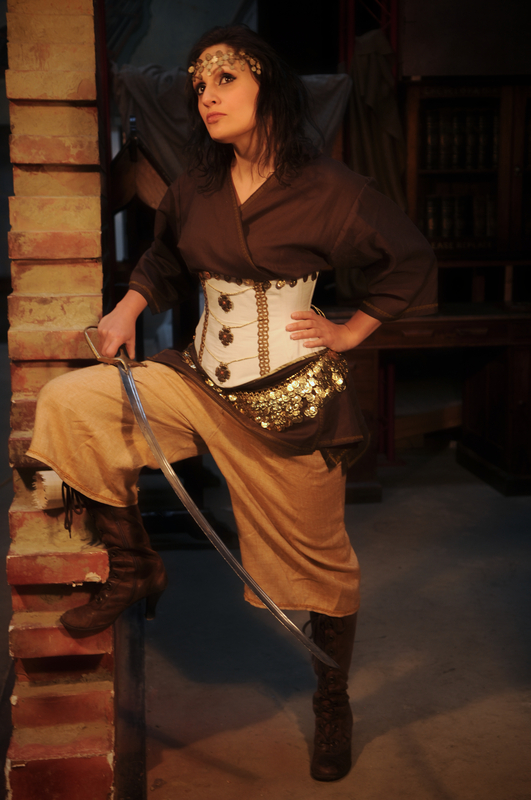 The aim was to produce either a traditional cage, or a steampunked one. 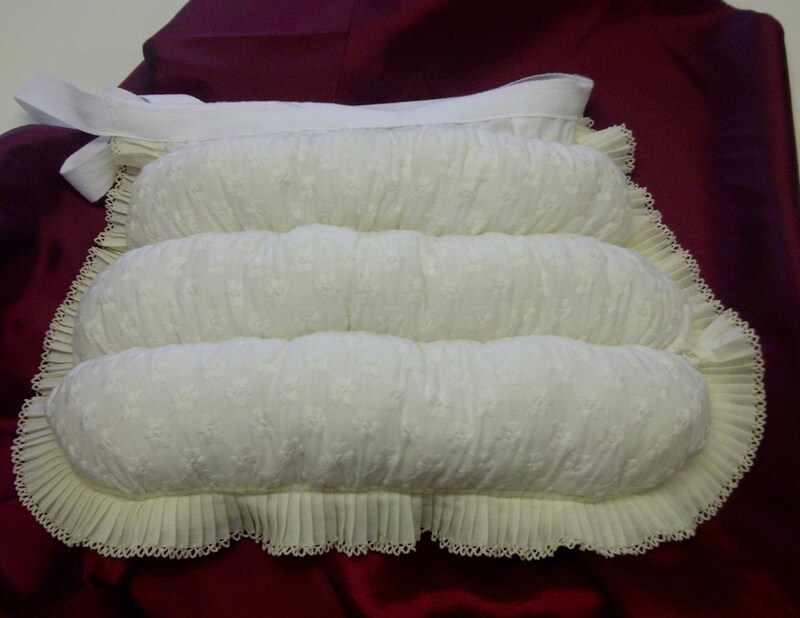 Time permitting, we will also have a go at bustle pads. 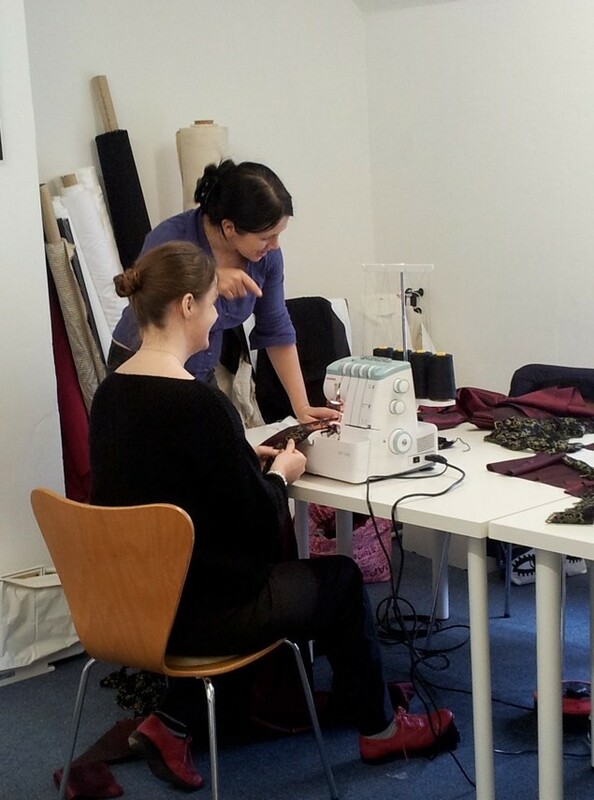 The students, Jane and Helen, arrived on time and after a cuppa and a short chat we set to work. The morning was spent on using the provided pattern to make their own versions, and the girls cut out the pieces and set about hemming them. 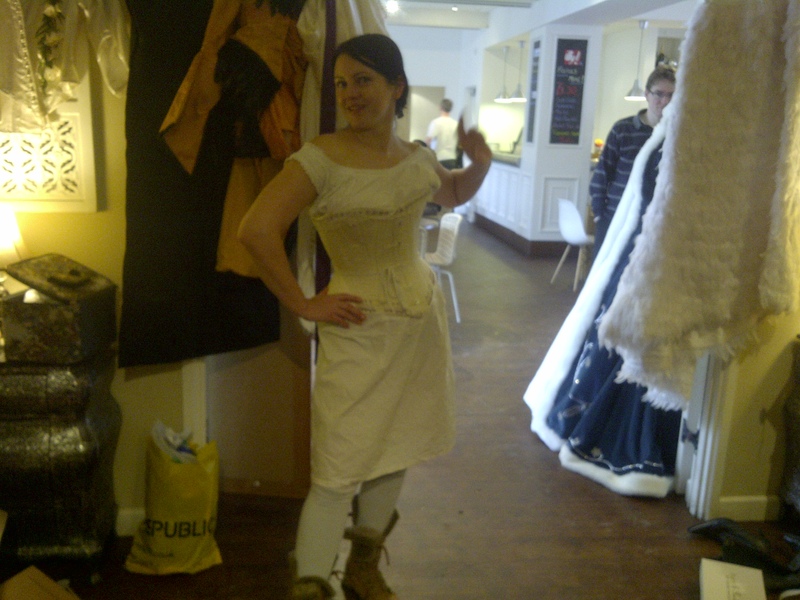 Helen was creating a more traditional version of the bustle in white twill and lace, to go with the ball gown for our Spectacular ball in April ( https://www.facebook.com/events/146217962178037/?fref=ts), whereas Jane was making a more colourful version in brown cotton dill and red lace, leaning towards steampunk sensibilities. 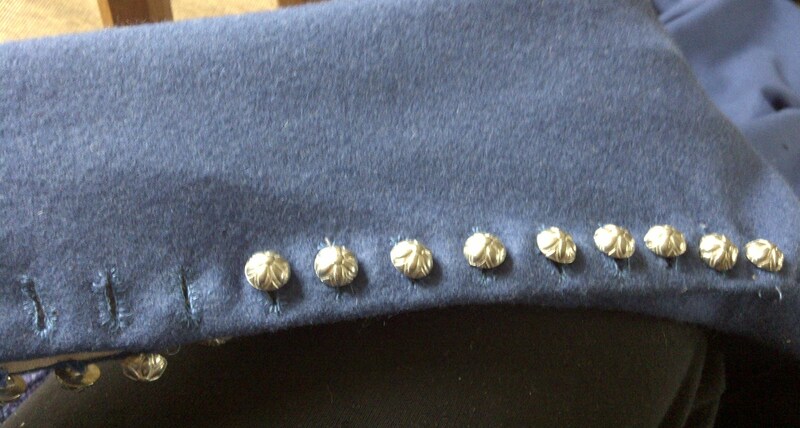 channels sewn in, time to add the boning! 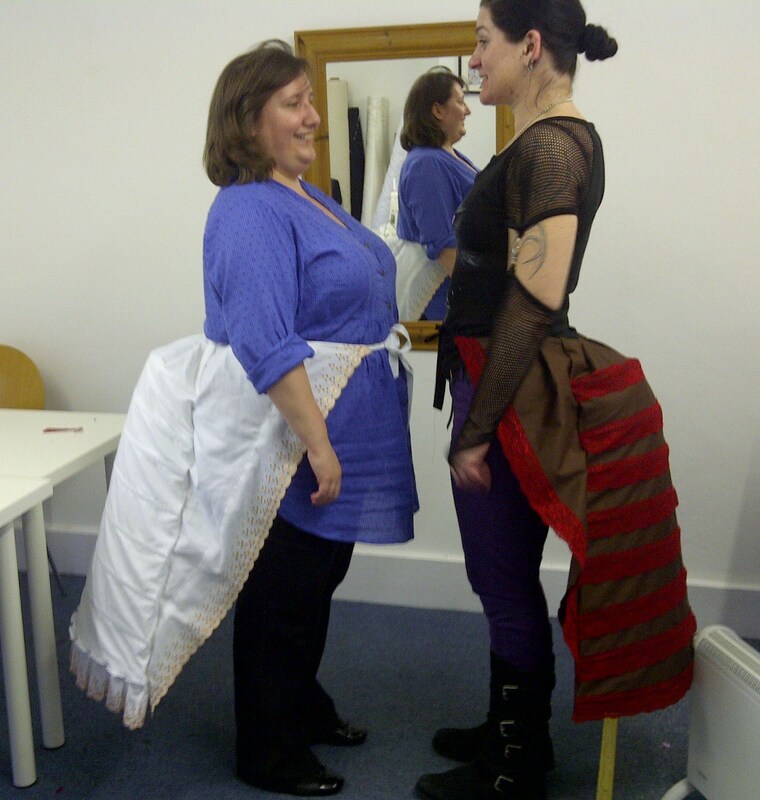 Apart from learning how to construct the bustle, both ladies had a go on Julia’s sander, filing their steel bones – i believe it was the first time for both of them! 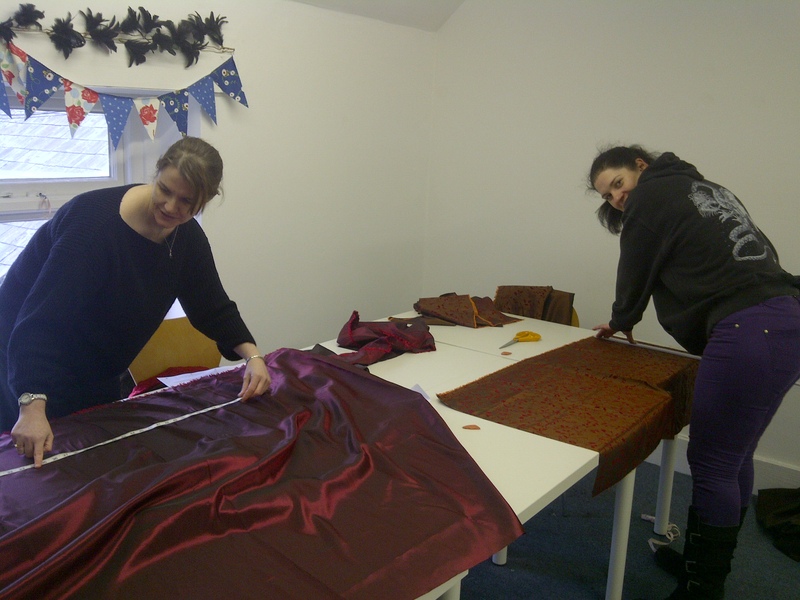 After lunch and a good chat, fuelled by leafing through the costuming books, the girls tacked the main task of the day – boning the bustles. 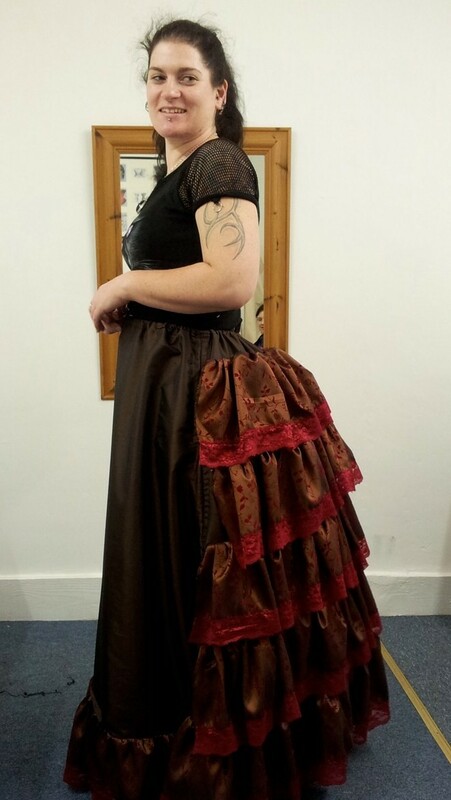 Helen’s Bustle is slowly taking shape… the lovely lace was from Sew Curvy stock! 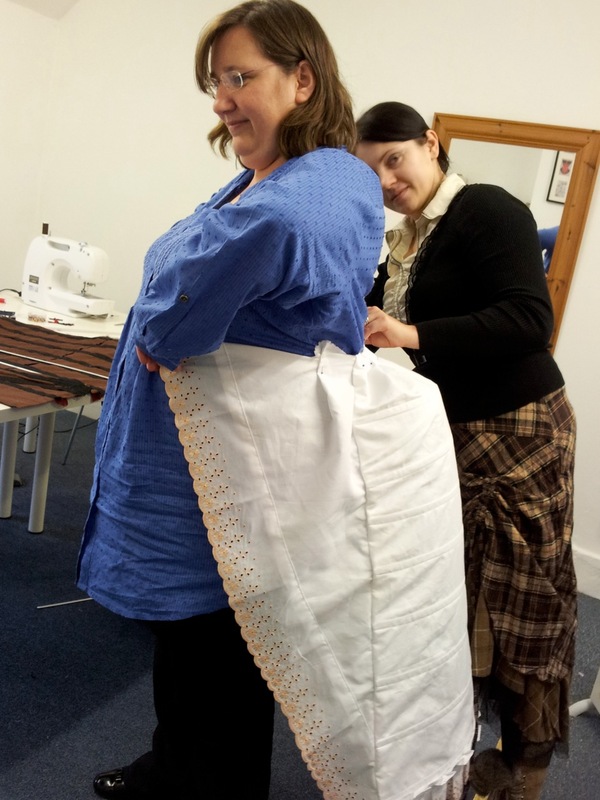 One of the most challenging tasks was sewing the bustle together after the bones have been inserted – you can see that Jane is enjoying every minute of that particular task! 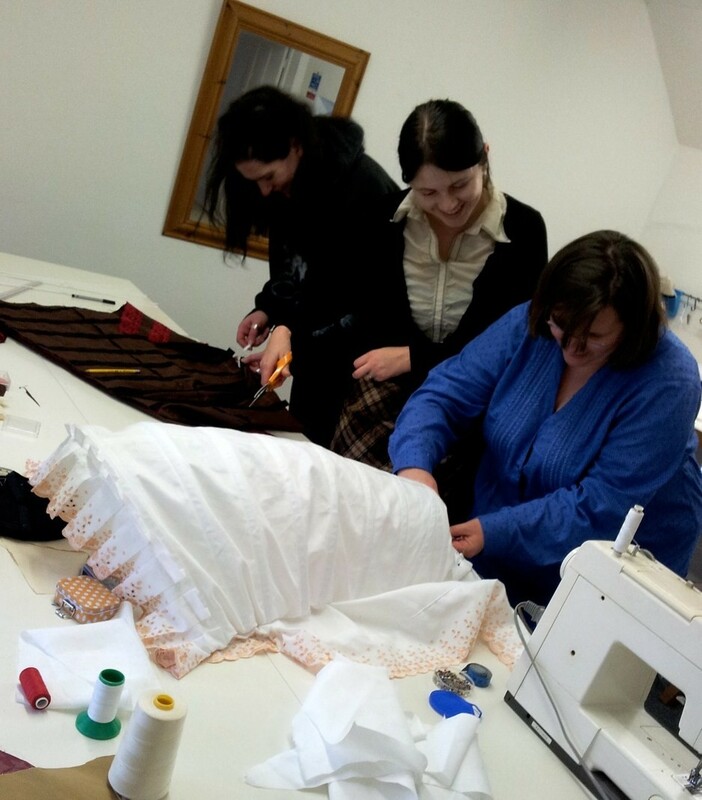 We just had enough time left to have a go at the bustle pads – most work was done in the class, with the girls being assigned homework – finishing the pads and adding lace. The stundents, Jane and Suzy, opted for the Sgteampunk versions, and after measuring and drafting the patterns, the girls were soon cutting out the fabric. Both girls decided to trim their flounces with lace, and to speed the proces up we decided to use the overlocker for serging the edges – and it was their first experience with the machine. And Jane having a go – and loving it! 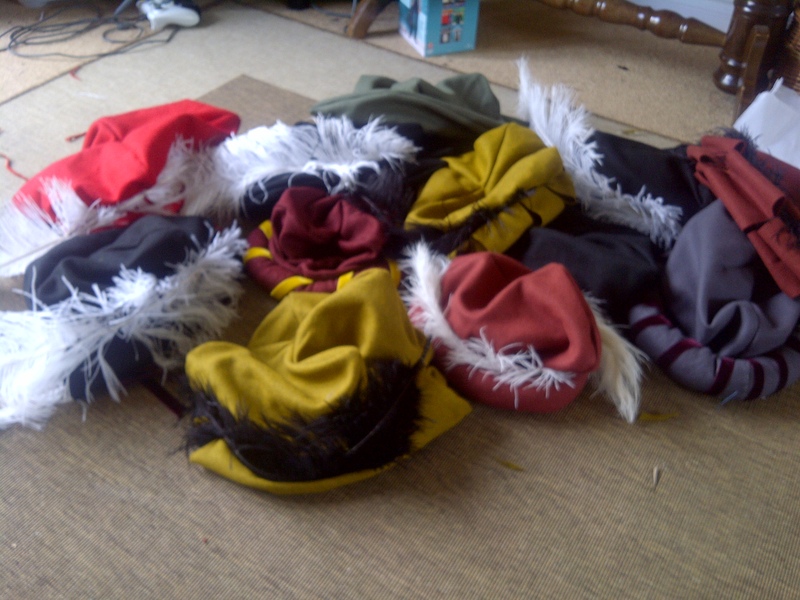 All the flounces serged and decorated, it was time for lunch and a chat, and then promptly back to work. 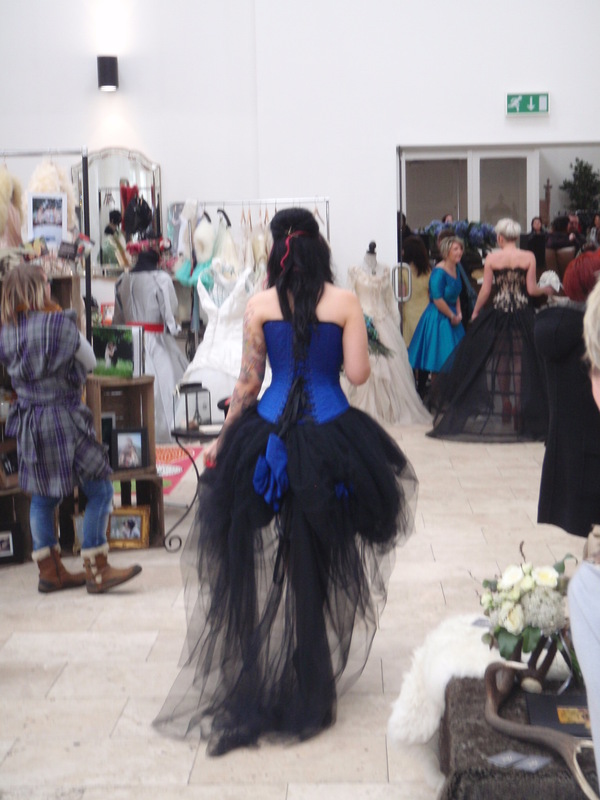 and a lot of wark it was as we were sewing the flounces onto the back of the petticoats and that involved a lot of pins and a lot of patience. 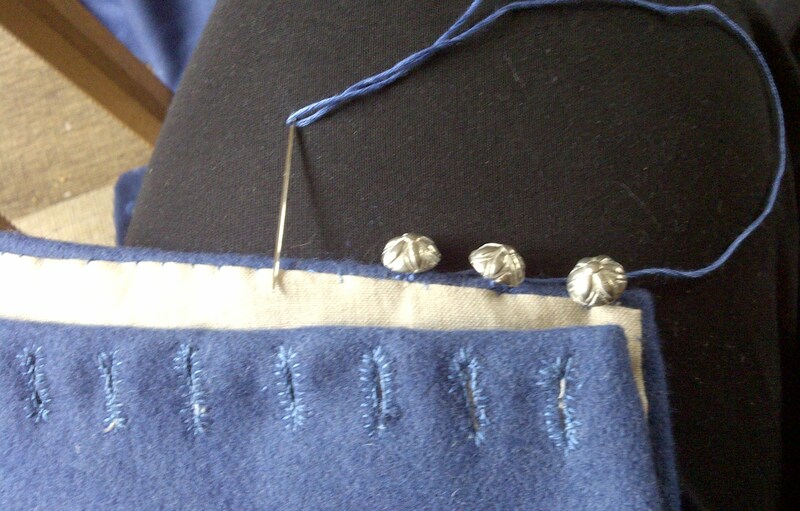 Pinning the flounces. 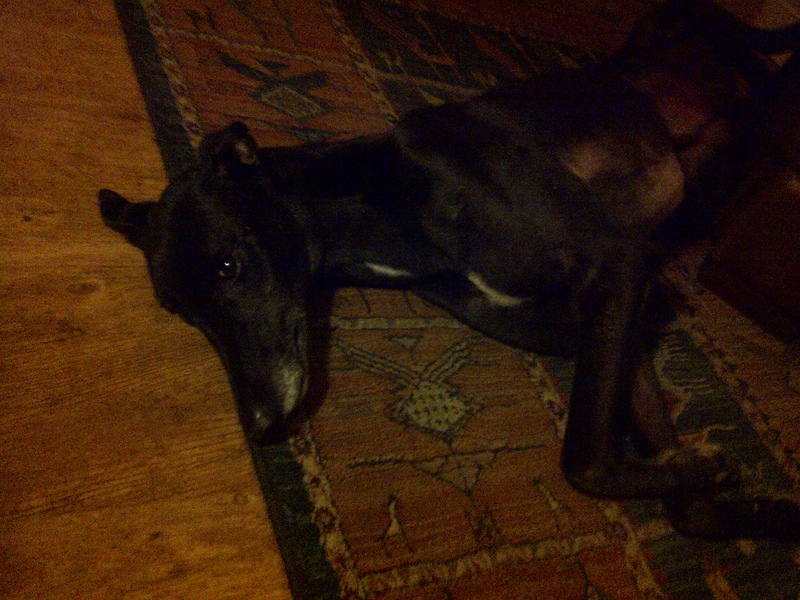 and singing along to the 80ties tunes coming out from Julia’s room to make th task more cheerful! 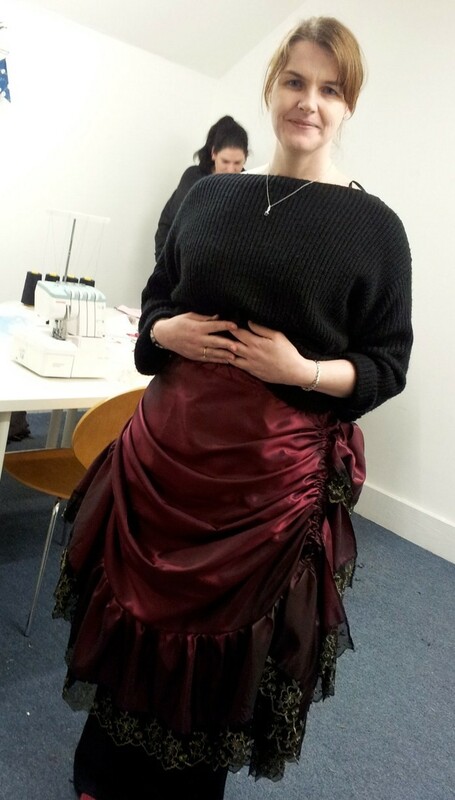 After that it was just assembling the petticoats, adding waistbands ( both girls chose elesticated waists for ease and comfort), and it was done! we did overun and the class ended a bit late, but the effect was worth it! 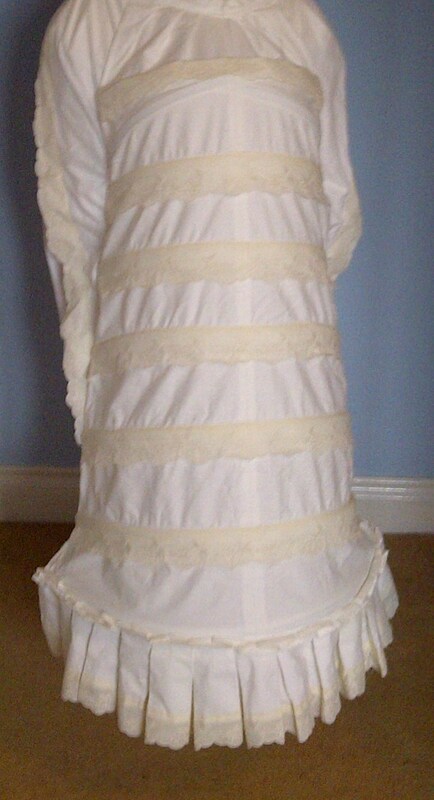 Detailed article with insgtructions how to make Bustle cages and petticoat, in both proper Victorian and Steampunk rendition are available on amazon – links to UK sites below, but they are also available in the US or everywhere else in the world! 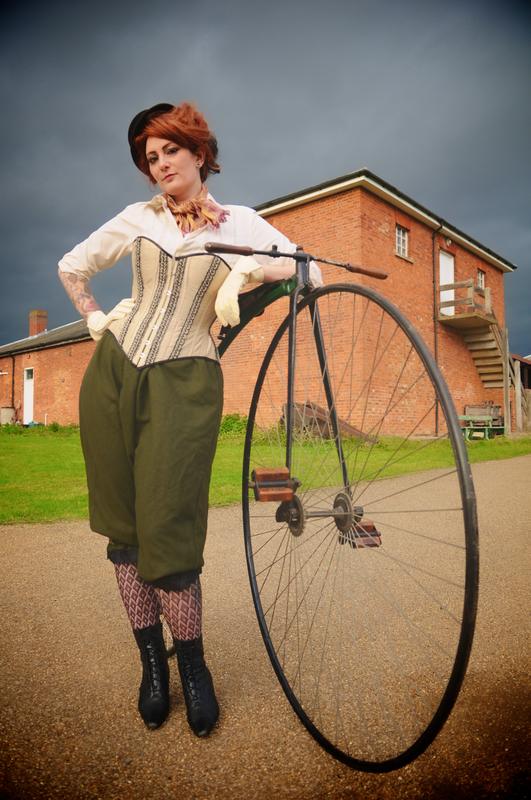 A few pics from our first steampunk collection, shot last autumn, at the Milton Keyness Museum. 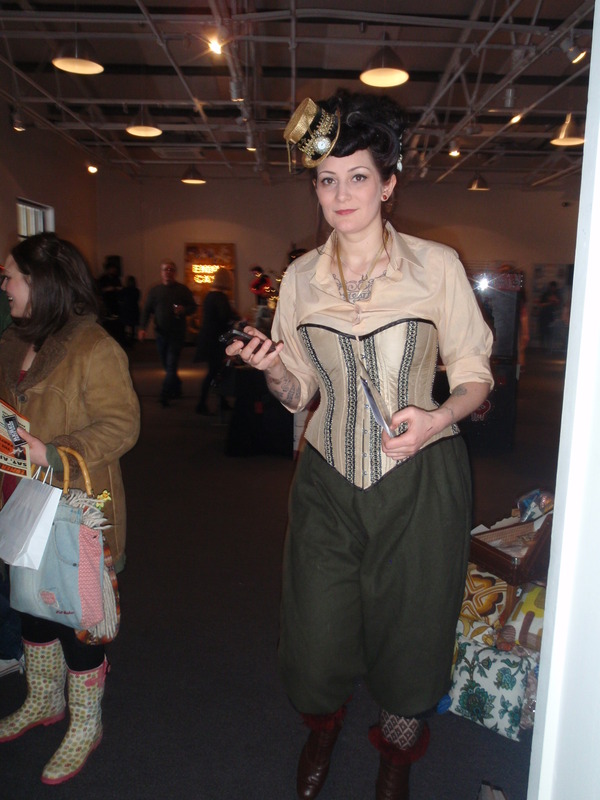 The collection was a first , but certainly not the last forray into the exotic world of Steampunk, and this one was inspired by the notion of travel and exploration, plus some great music from the famous steampunk group, Abney Park. I have published the articles on the inspirations and creation of the collection on The Wardrobe Unlockd site ( http://www.yourwardrobeunlockd.com/), so will keep this entry here just to the day of the shoot. Models, me, Lizzy ( https://www.facebook.com/MissLillianLove)< Cathy Hay and Sarah in her double role as a stylist and a model. 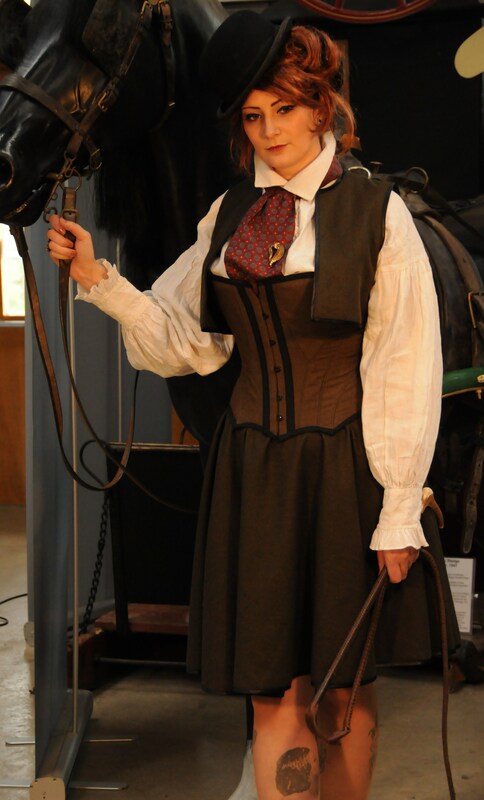 We had 7 characters to portray so it was a long day, fortunately, the venue, Transpiort Museum Hall was entirely at out own disposal – a perfect location for the shoot, so many thanks to MK museum! with added effects, Paul’s work! 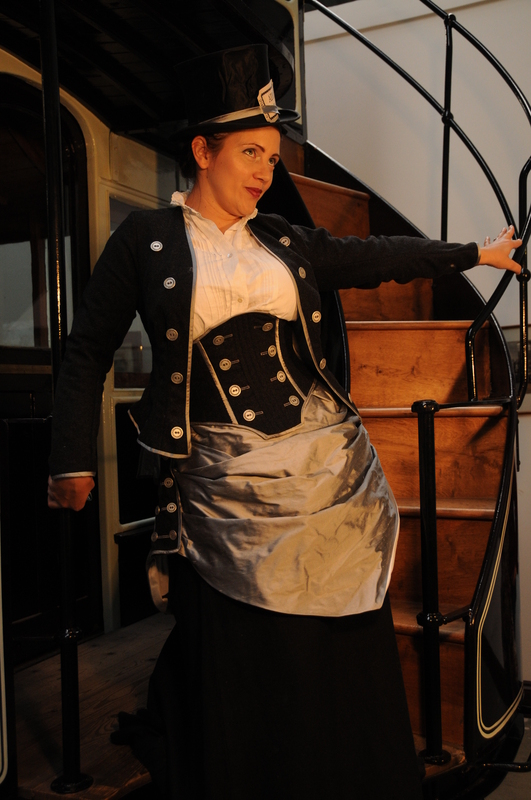 wool skirt, corselette, jacket and a silk overskirt. all ready to sell some omnibus tickets! Many thanks to all the team!!!! 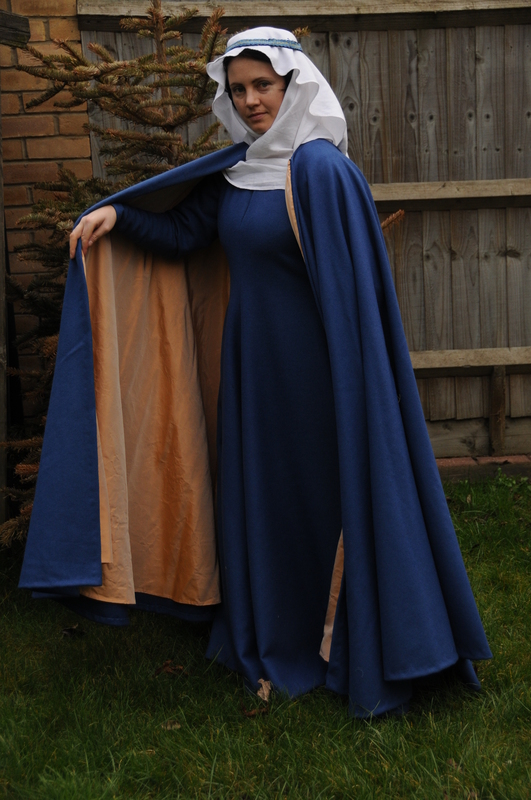 One of the latest commissions was a early to mid 14th century gown and a cloak/mantle, based on the effigy of Blanche Mortimer. 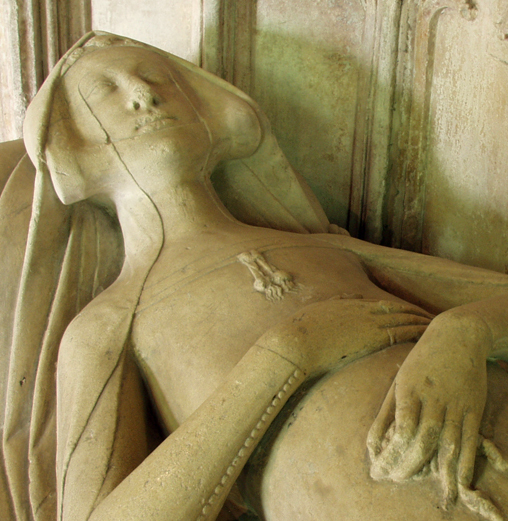 Blanche died in 1347. She is buried in the chancel of Much Marcle parish church. The customers, lovely ladies from Mortimer HIstory Society, Dress and Textile Group, spoke to me at TORM ( The original Re-eanctors market) last autumn, and after a short discussion we had the basics sorted out – we got 10 metres of lovely wool for the dress and the mantle, plain linen for the lining of the kirtle, and lovely silk for the lining of the mantle. The buttons, small, pewter with a flower pattern, were also bought there. 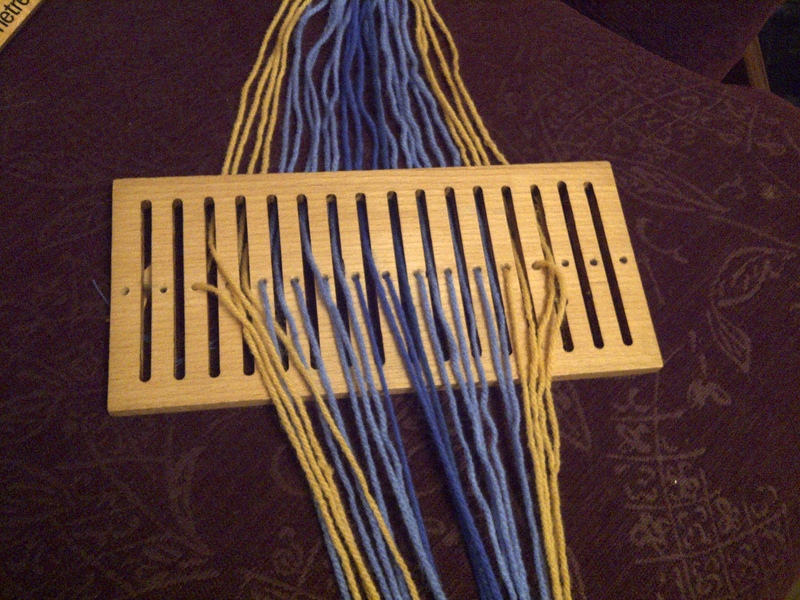 I purchased the wool for the braid and the silk thread later on. 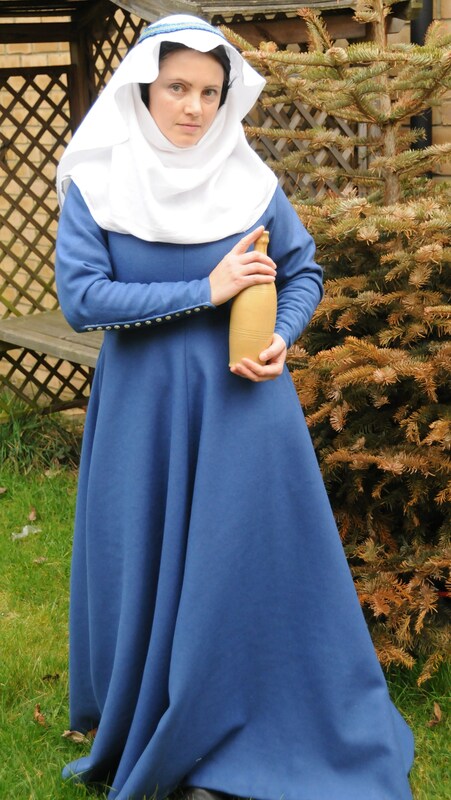 The dress ( kirtle) is a relatively simple affair: in the beginning of the 14th century loose and voluminous garments were all the fashion. The middle of the century saw a small revolution in the cut and dressmaking techniques – as the skills and tailoring knowledge increased, the clothes started to follow the contours of the body much closer, and the fit accentuating the silhuette was slowly becoming fashionable. 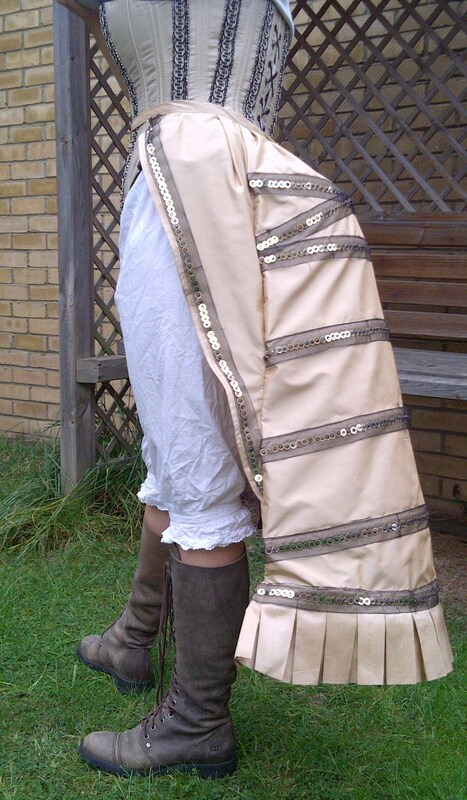 As a result, the second half of the century sees much more fitted kirtles ( easily spotted under the loose surcoats, especially the later ones with the fashionable ‘windows’ or ‘gates of hell’ wide side openings), even though the outer garments could still be loose like houppelandes and surcoats, or more close fitting as well like cotehardies. 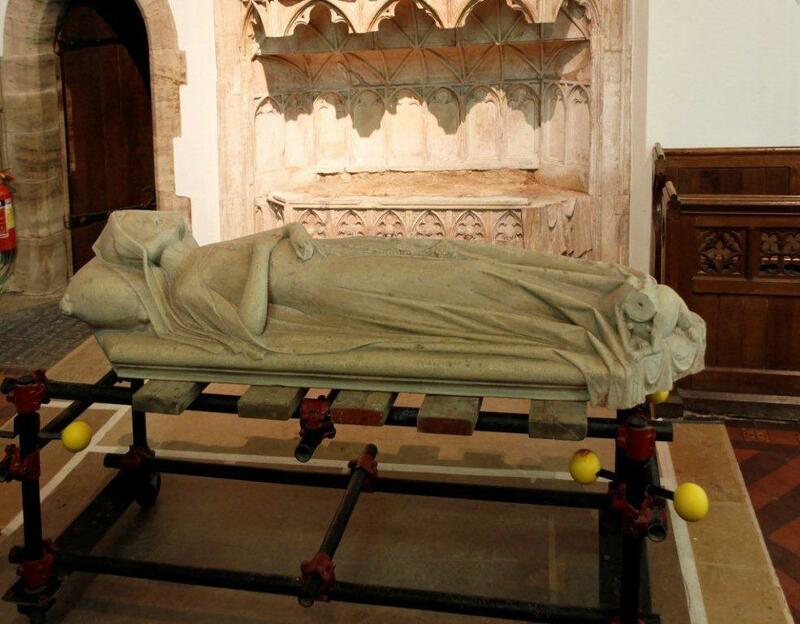 Blanche’s effigy shows her gown relatively close fitted, though it is most likely, that, since she died in 1347, she missed the newfangled fashions. Her garments before she died would probably fall within the transitional period – not too voluminous, but also not too fitted either. The client asked for a more or less size 12, with back lacing so that the gown could be worn by ladies ranging from size 10-14. Construction/pattern. There is quite a lot of evidence showing the garments of the period as being constructed from several pieces. Some of the pieces were purely there as the cloth available was usually too narrow to ensure cutting big panels in one go – something that the upper class could occasionally do, though considering the general narrow width of the cloth in the middle ages, even the clothing of the rich would be pieced. 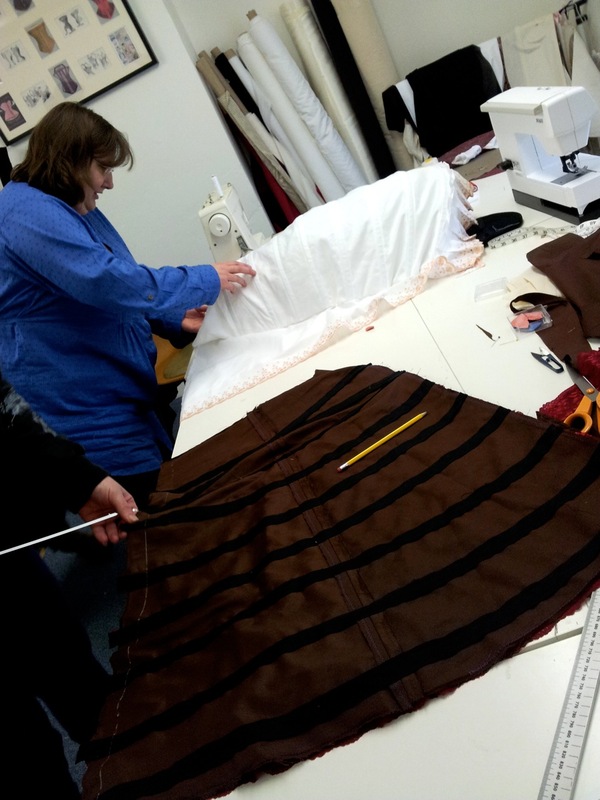 Generally it may be said that pattern tended to consist of 4 main panels ( 2 front, 2 back) , sleeves ( often pieced as well, including a more complex construction – like the later Moy Bog dress, http://www.personal.utulsa.edu/~marc-carlson/cloth/moy.html ) and gores in the skirts. The number of the gores varies, their length as well – the evidence from Molesund or Greenland ( Herjolfsnes) shows a stunning variety – including the famous woman’s dress with side gores reaching the armpit – a more advanced technique from the ones seen in the previous centuries http://www.personal.utulsa.edu/~marc-carlson/cloth/tunic2.html. 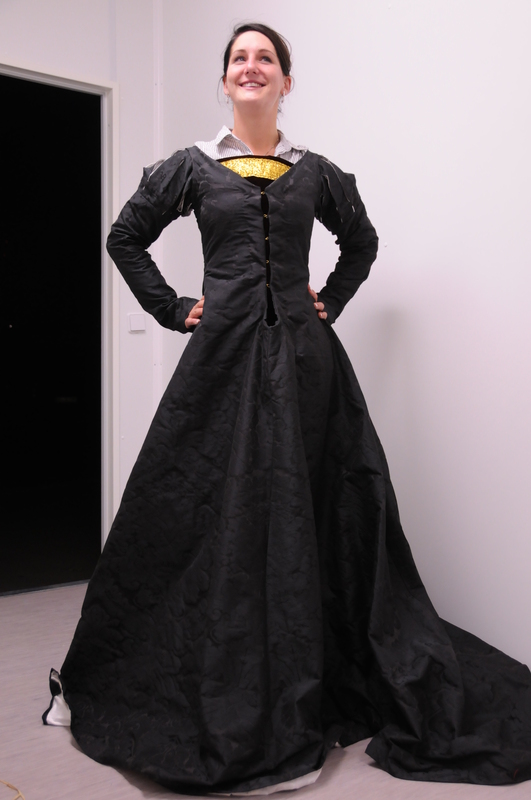 There also existed a few dresses ( like the Uppsala dress – http://www.personal.utulsa.edu/~marc-carlson/cloth/uppsala.html ) which basic construction was simple – just 4 pieces, flaring out from the waist – simpler to make, needing less time for stitching, but requiring a wider cloth. 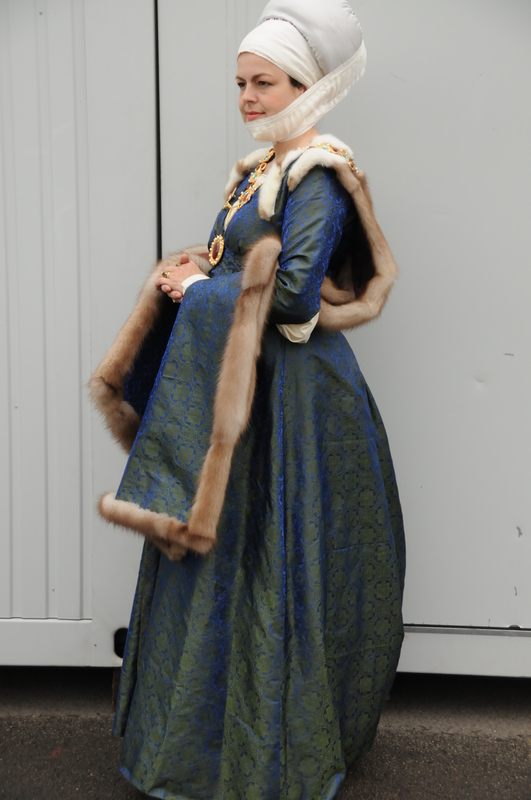 Blanche’s kirtle is a mixture of the two trends – the body consists of 4 main parts, flaring out slightly, plus gores, adding a bit more volume to the skirts. 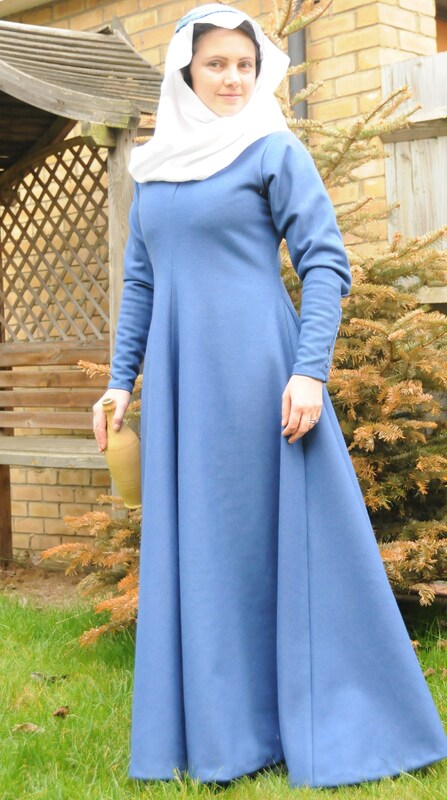 The dress is made in wool first, with the hem folded up and stitched with silk thread – the fabric was of a very good quality, and not fraying at all – a godsend! 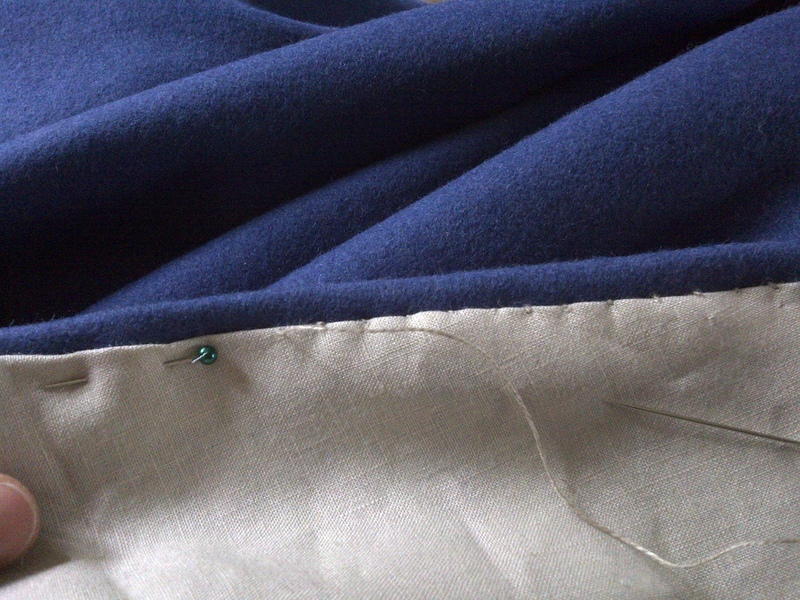 Lining is made separately and then inserted into the garment , the hems folded over and stitched to the wool seam allowance. 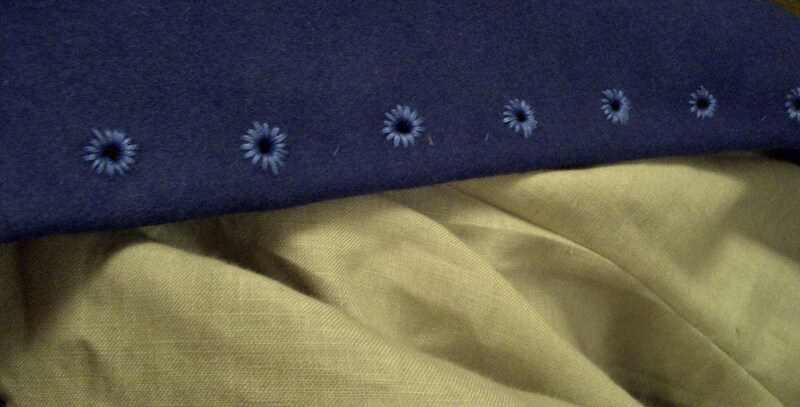 The sleeves are open to the elbow, and the buttons and buttonholes are worked in silk thread. The mantle is made out of two semicircles. 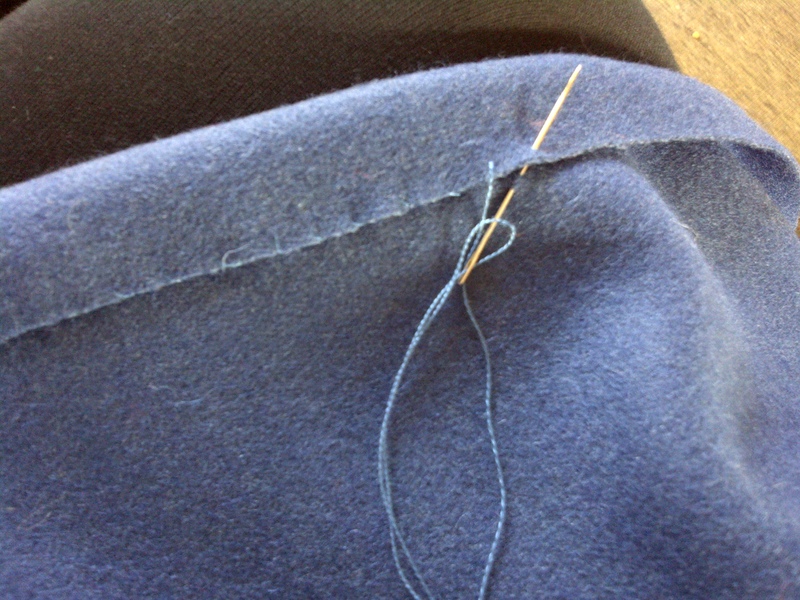 First in wool, which is hemmed with a stronger stitch, and then the silk lining is added. 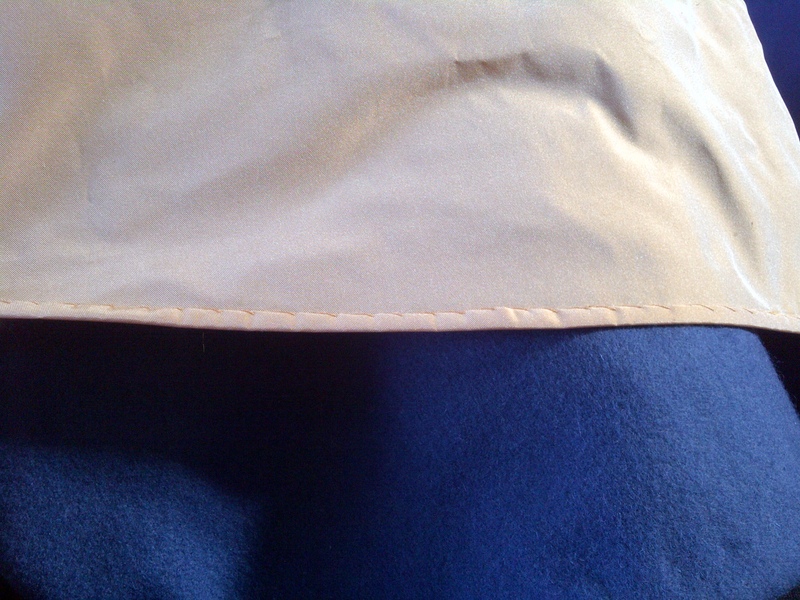 the lining is attached to the mantle at the front sides and top only , the bottom is hemmed separately and is left floating. There are two reasons for the construction- primo, the silk is stiffer and it would hold its structure, whereas the wool will stretch a little.If that happens when the lining is attached, it will result in unsightly bulging at the base. 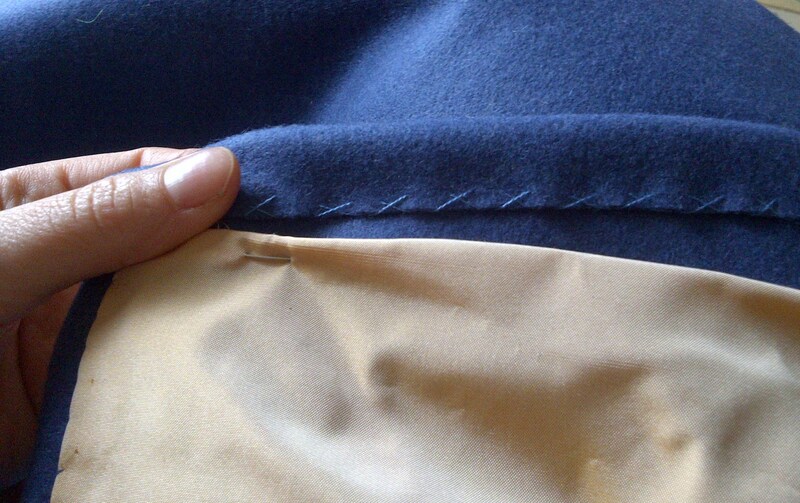 Secundo, by keeping the silk layer separate, and a bit shorter, the pricey fabric will not get as dirty as quickly.. similar solutions are used nowadays in modern coats as well – mostly to ensure that the outside fabric hangs well. 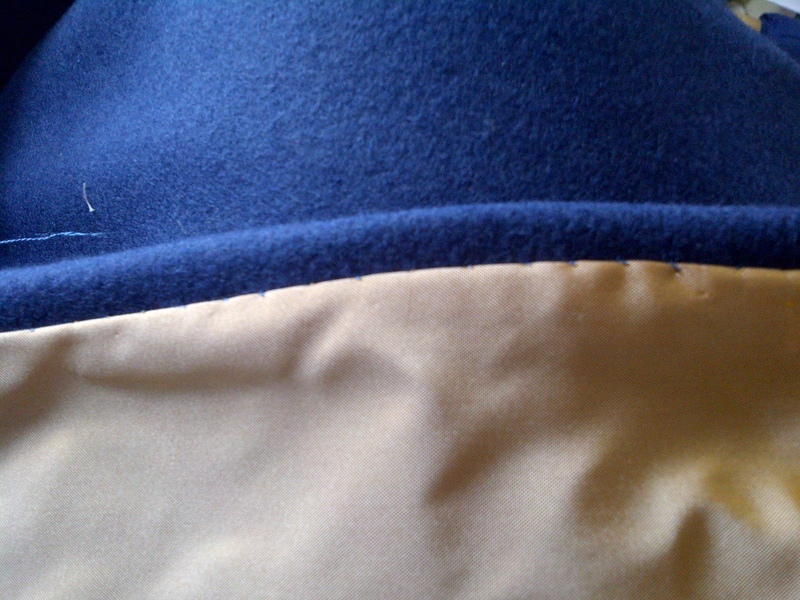 You can join the two layers without problems if the fabrics share characteristics – linen or another layer of wool will work well as it will stretch together. The mantle will close with braid and broaches – the braid is handwoven, on a heddle loom, and the same braid will be used to secure the veil. 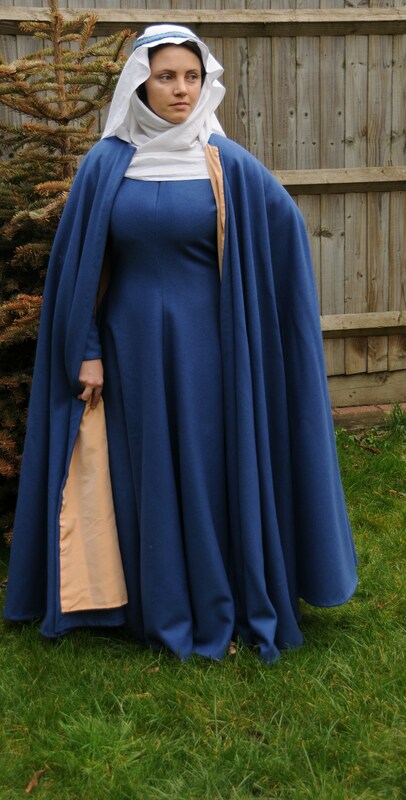 For the quickly snapped pictures in the garden, I wore my linen chemise, the gown, medieval shoes and the mantle left open. My hair is braided in two plaits, coiled at the sides of my head and covered by a linen wimple and a veil, secured by pins and the braid. 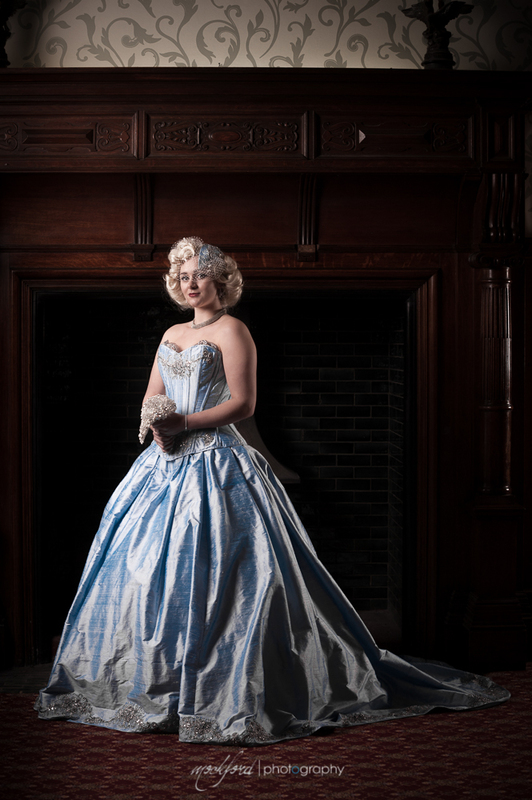 All together, it has been an interesting commission, and i was thrilled i actually got to wear the dress, even if it was just for the sake of the few pictures. 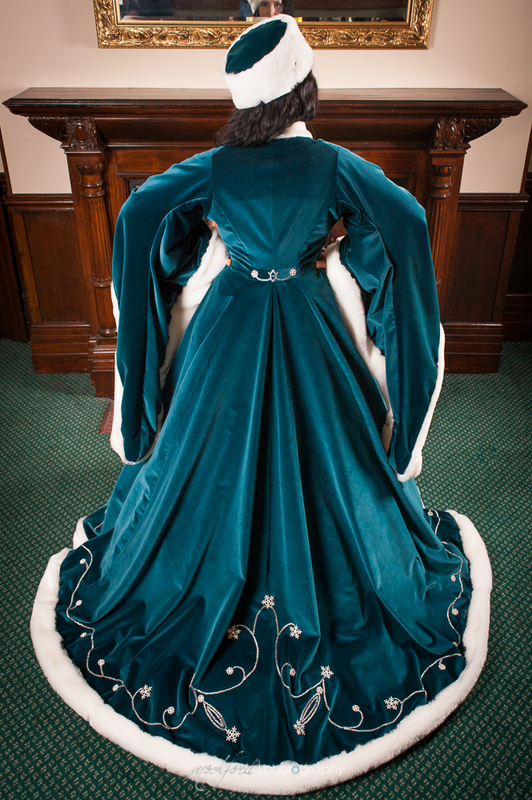 The gown goes on display this Saturday, so hope it will be well received! 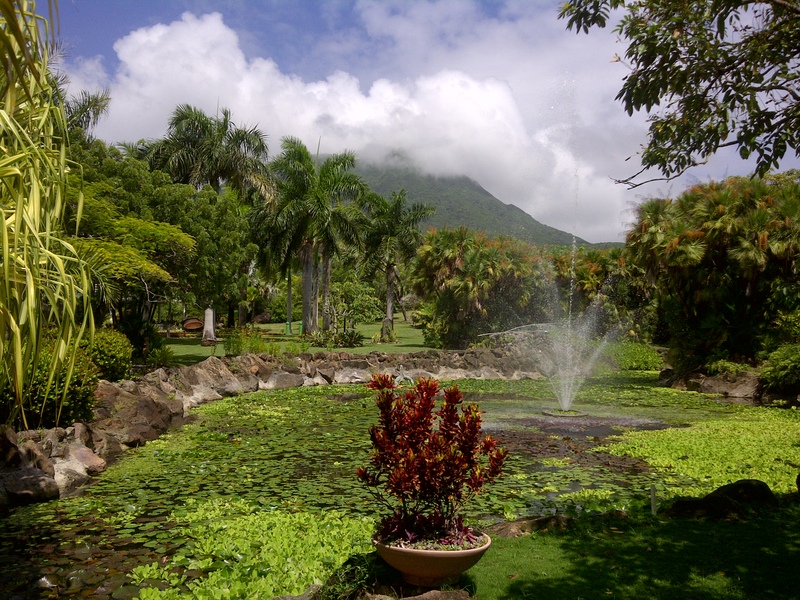 Thanks to our wedding guests and other friends generosity, we were able to go to Nevis – a lovely tiny island in the Caribbean. 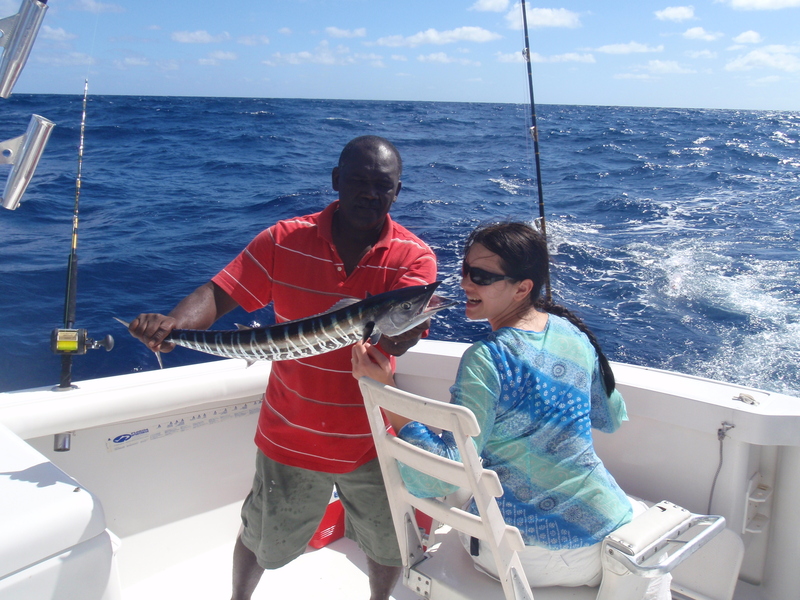 We used Buy Our Honeymoon service – http://www.buy-our-honeymoon.com/. 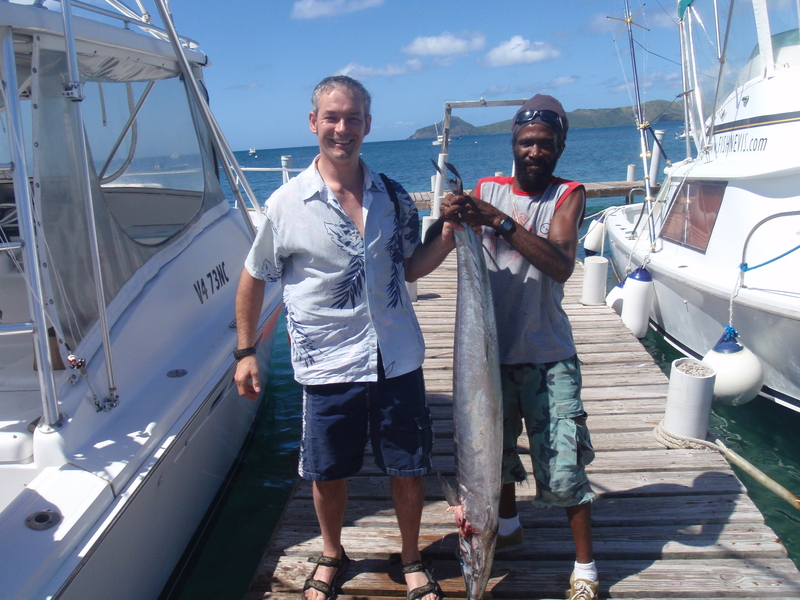 friedns were able to sponsor a posh barbeque, or a coctail on the beach; a deep see fishing or a snorkeling session – all very much appreciated. 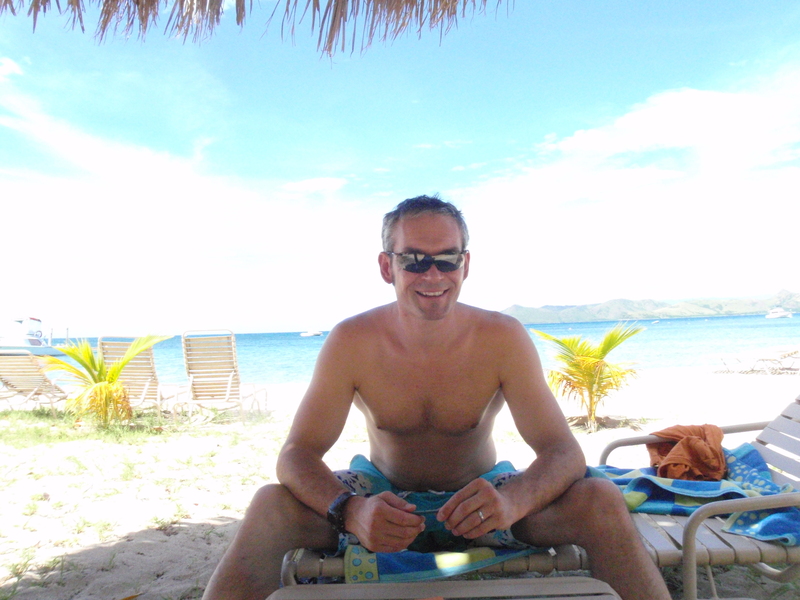 We did some riding, driving, walking and climbed the volcano. 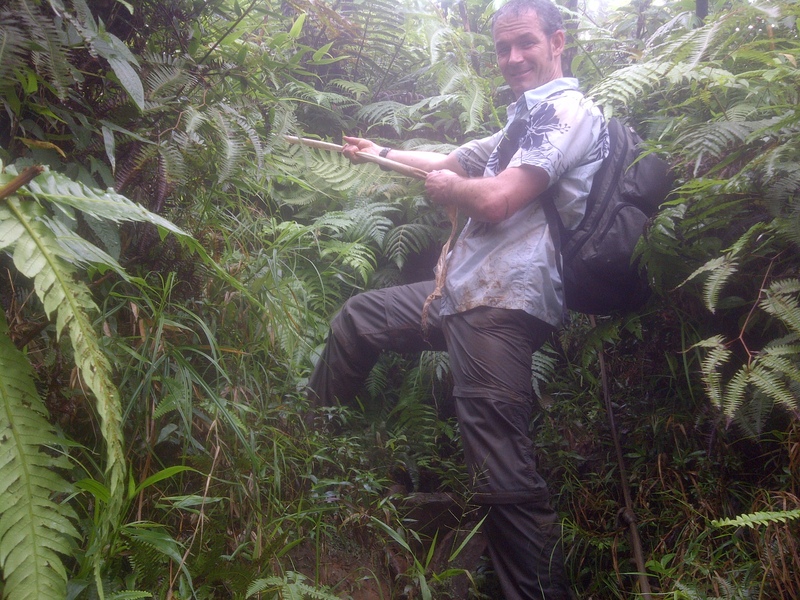 up the volcano – muddy steep path where you need to climb on all fours. good fun! 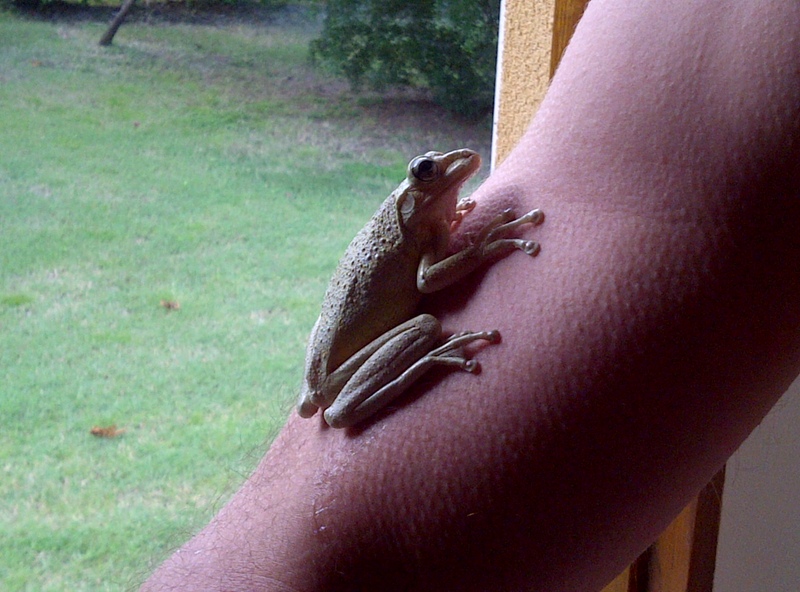 and when we got tired, we rested at the villa…..
and at nights – we hunted mosquitos!!! 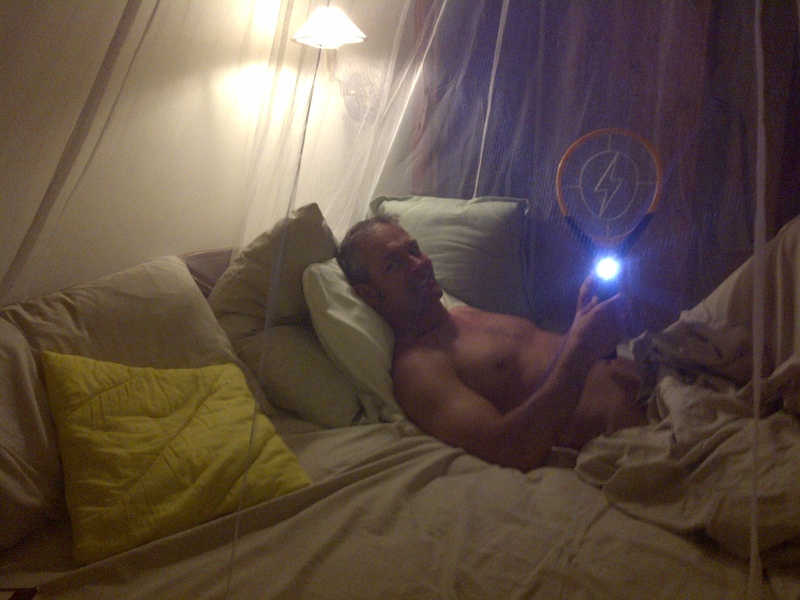 Lucas with his weapon of choice – a Zapper! 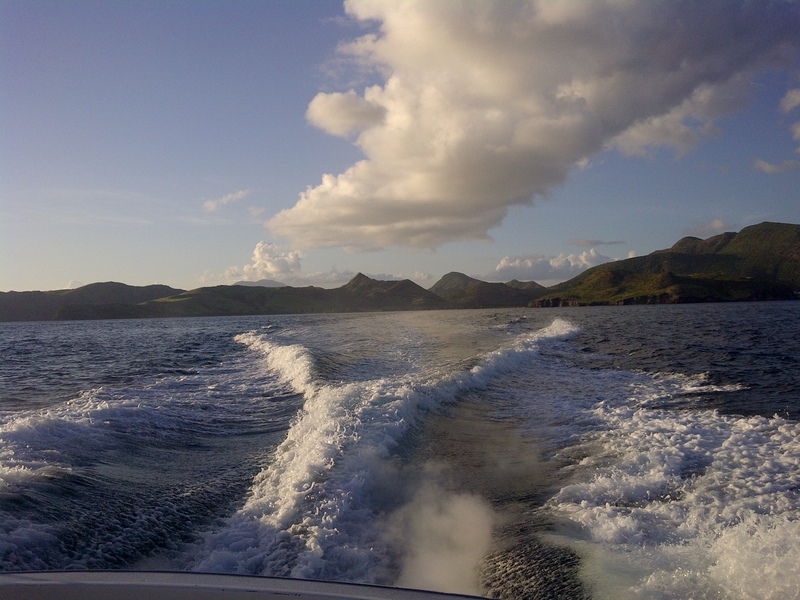 Altogether, we had a lovely 10 days there , and waved nevis an affectionate goodye! 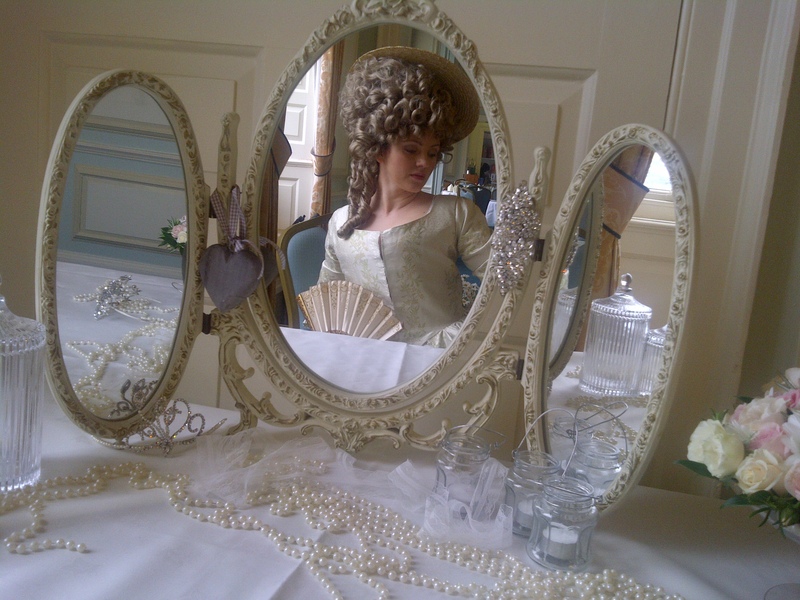 I had a fantastic day last Sunday working with Prior Engagement on a historical fashion show for a wedding fair at Harrowden Hall. 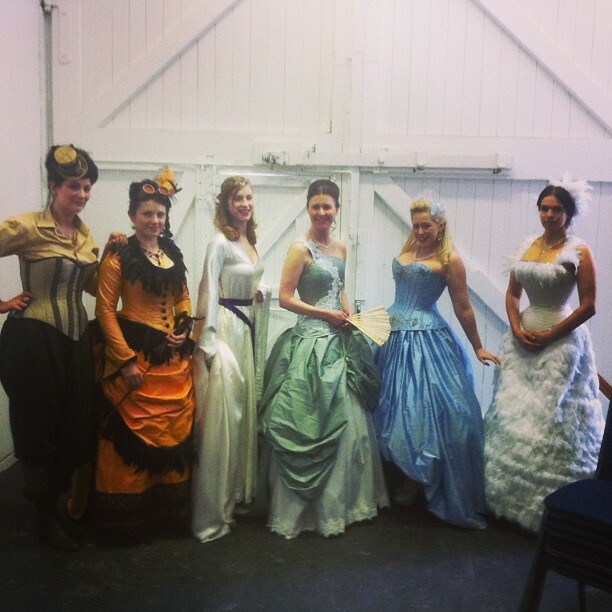 Prior Engagement is an off-shoot of successful company Prior Attire and the owner Izabela specialises in making both incredible historically accurate gowns and beautiful historically inspired dresses, as well as branching out into fantastic alternative creations such as Steampunk dresses. Izabela set up Prior Engagement to give brides the fantasy dresses of their dreams and I actually met her as she was planning her own wedding! 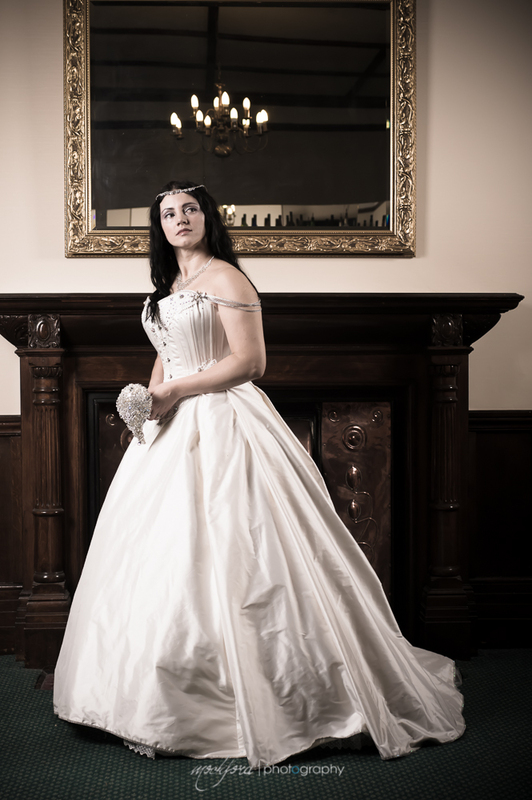 She asked me to create an accurate style from the 1880’s to be built around her beautiful wax orange blossoms, something a bride of that time would of traditionally worn.